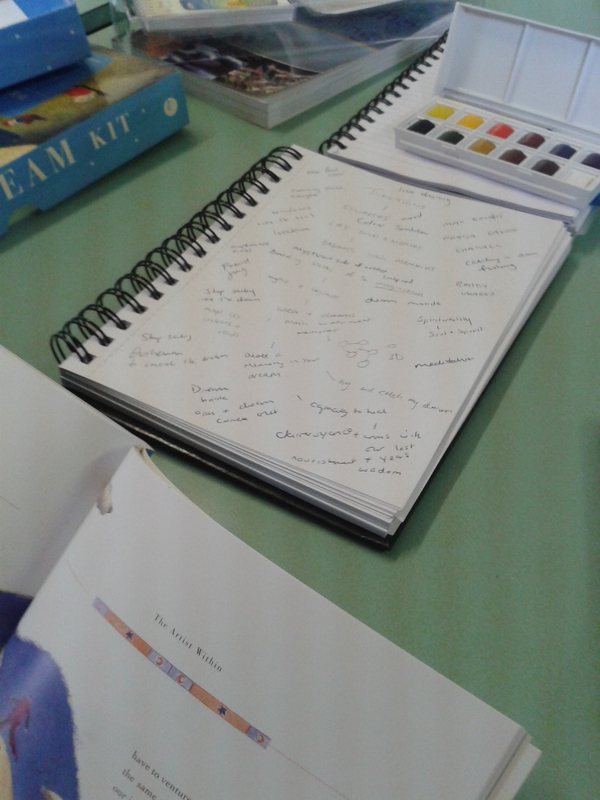 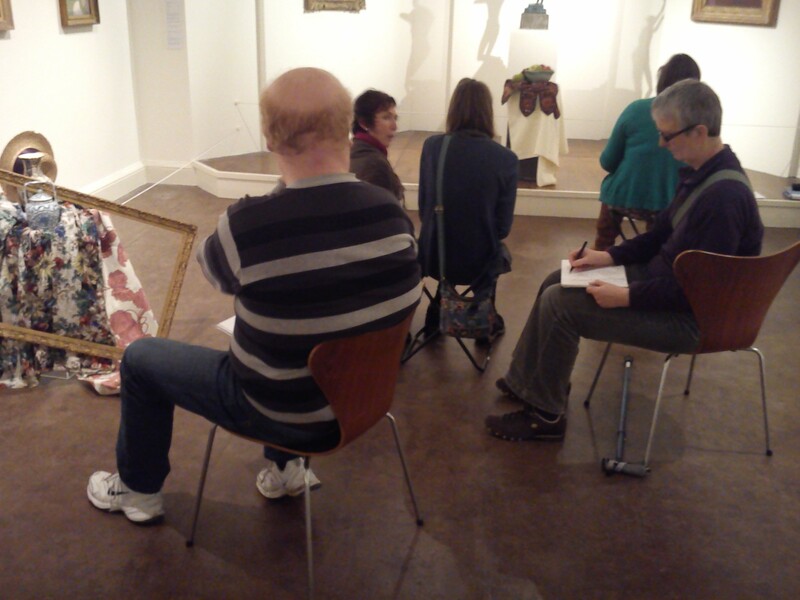 The WellArt group today was in the Abbot Hall Art Gallery led by Lakeland Arts Engagement Officer Anne-Marie. 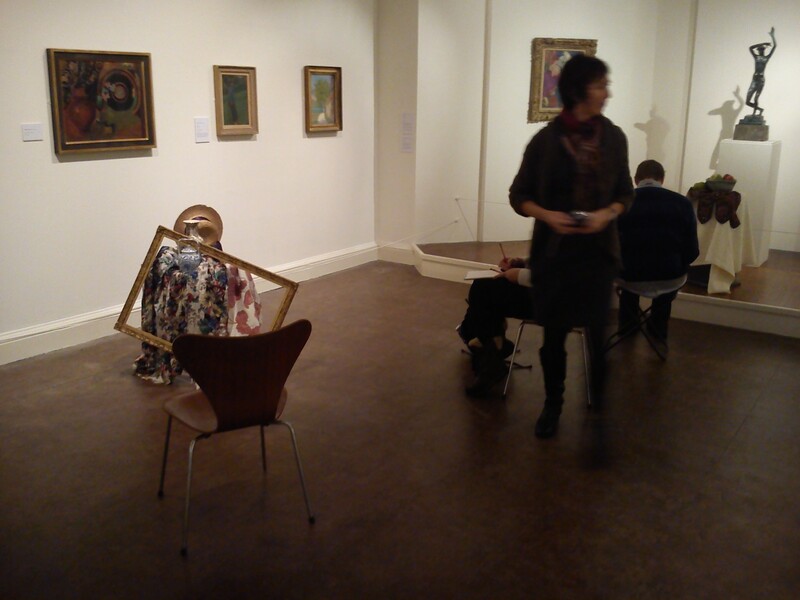 She talked about the images in the Radev Collection in the exhibition but was also keen to get the group drawing in the gallery. 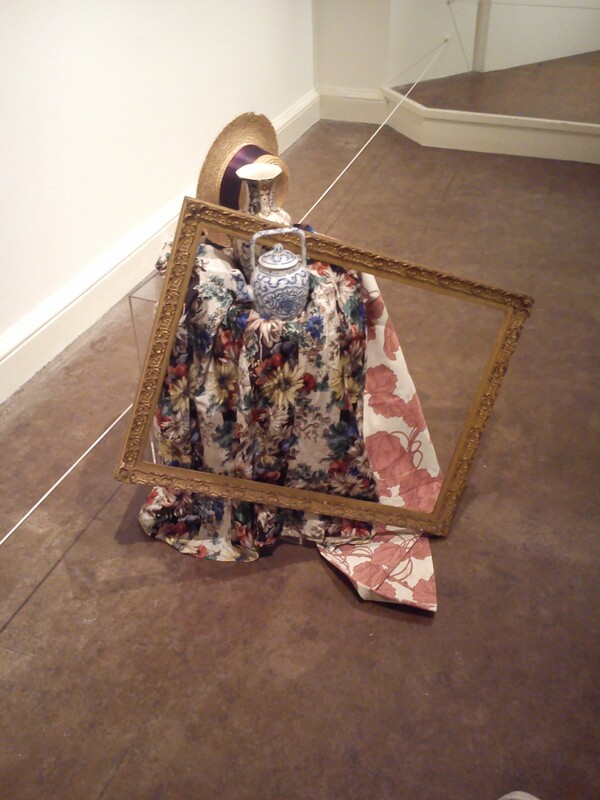 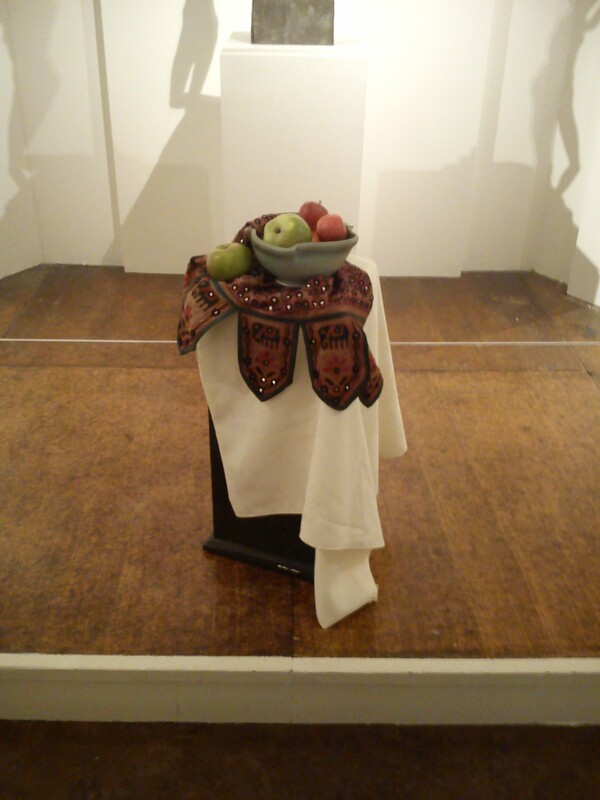 S…he had set up several still life scenes based on pictures in the exhibition such that they appeared to have fallen out of the pictures around the gallery. 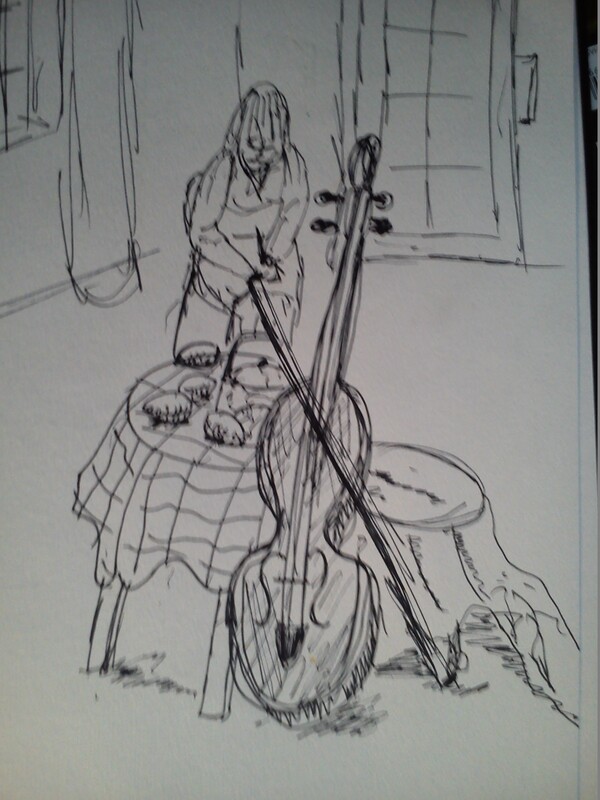 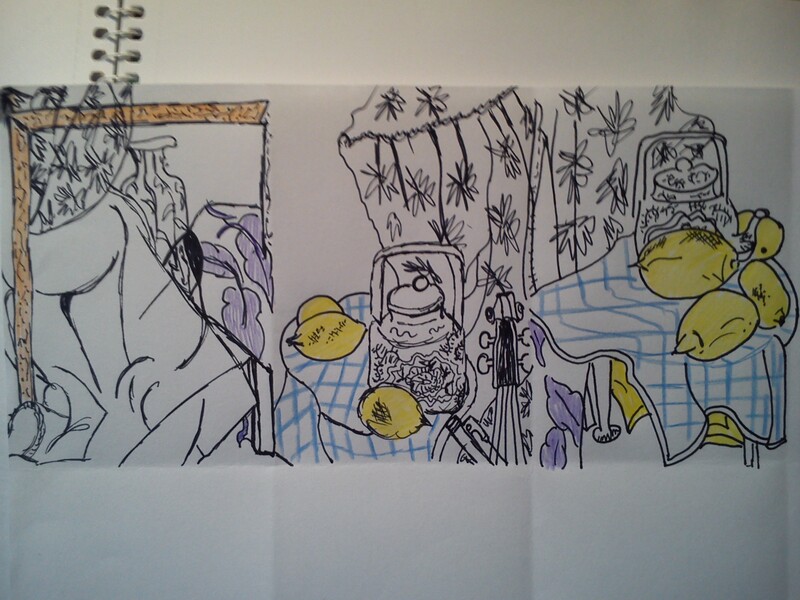 She invited us to draw using pen, pencil or biro, the still life scenes. 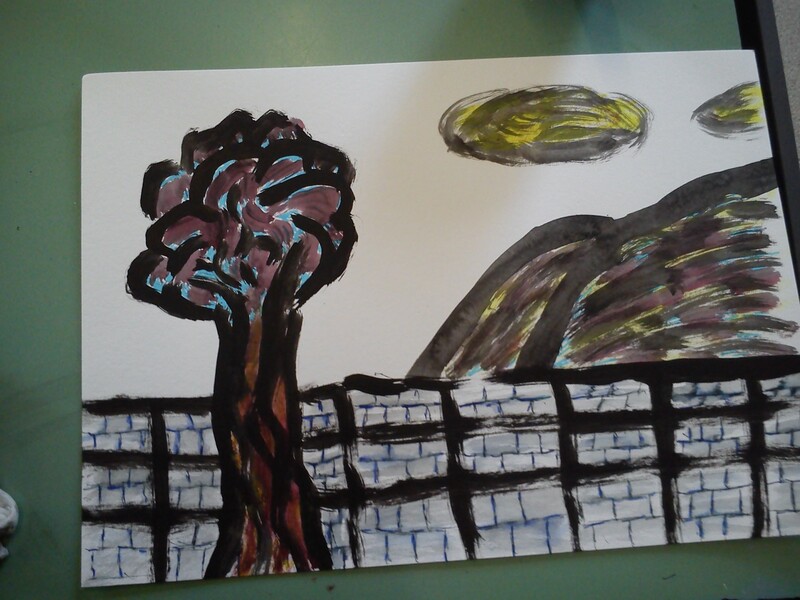 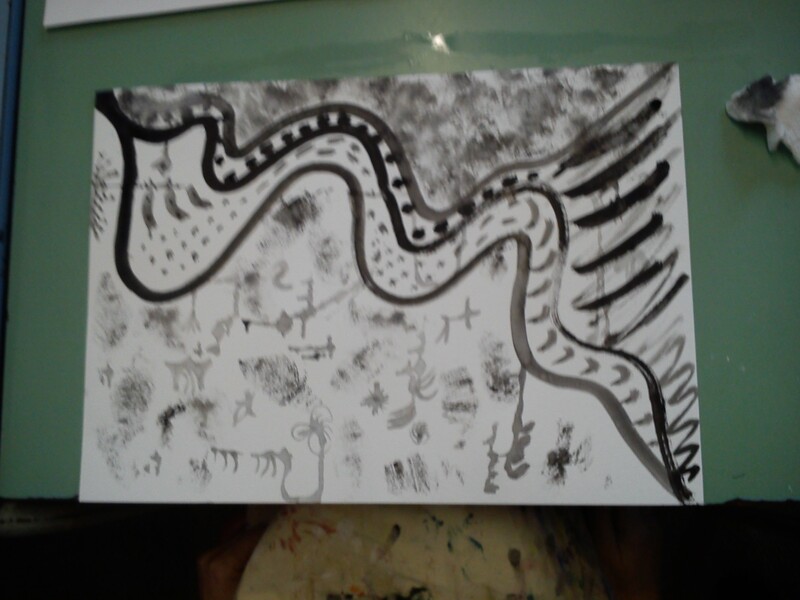 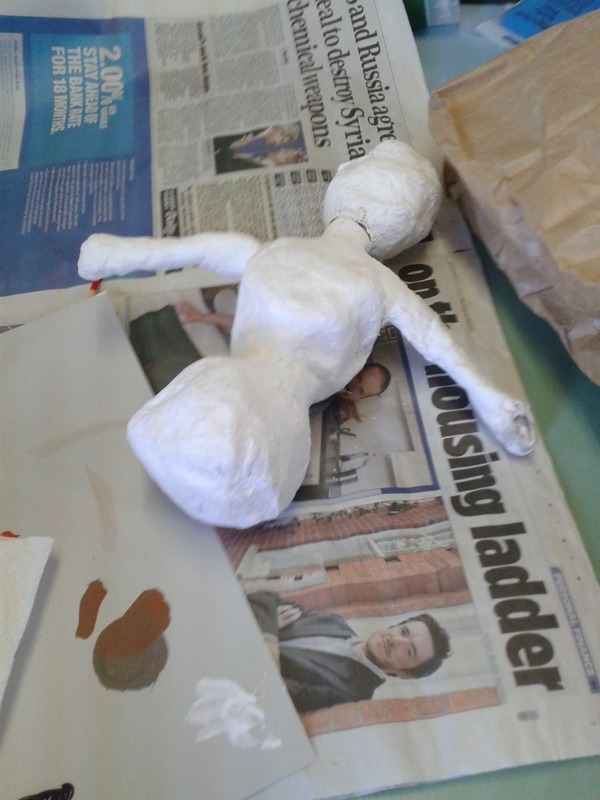 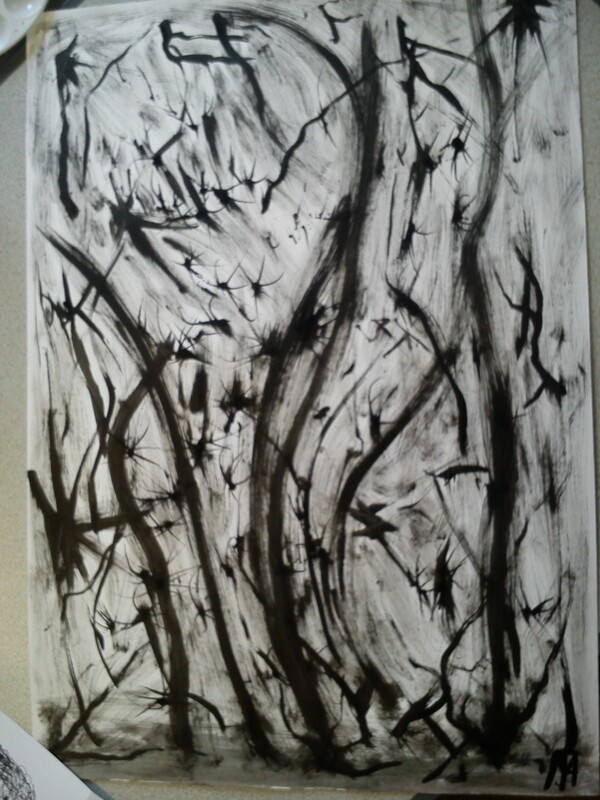 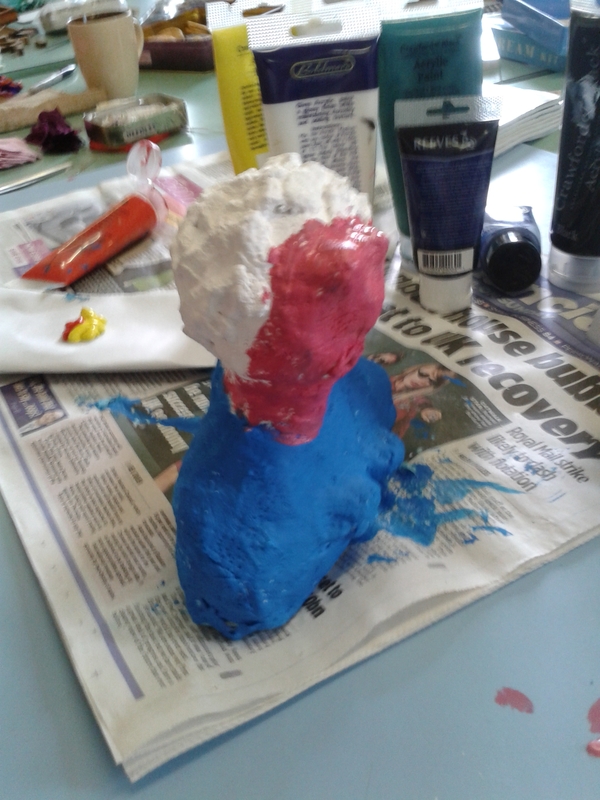 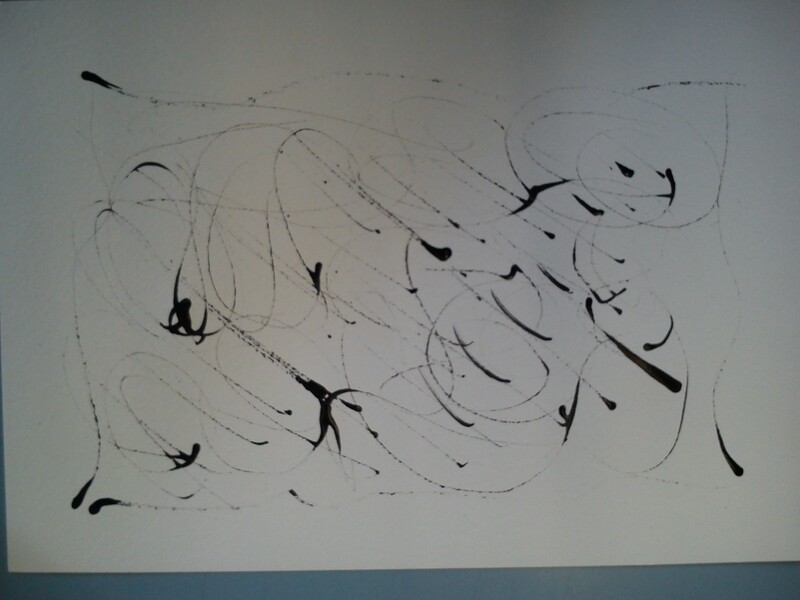 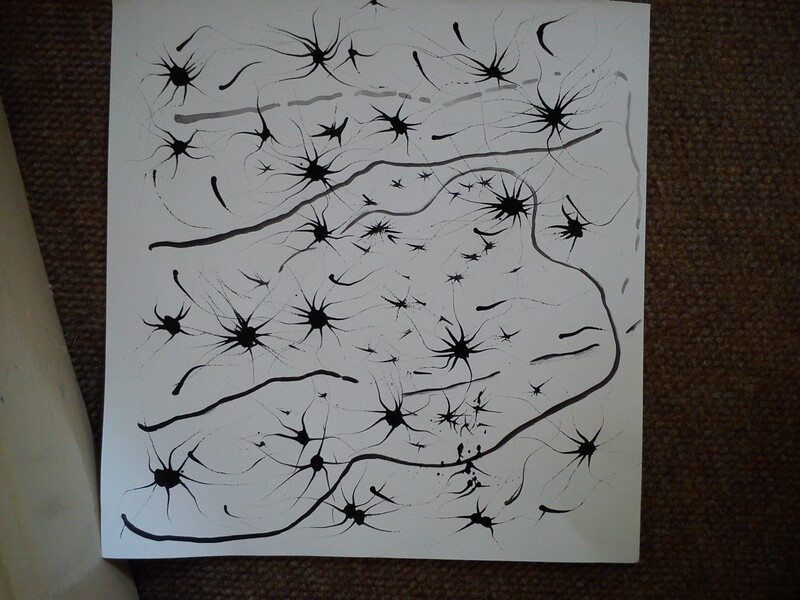 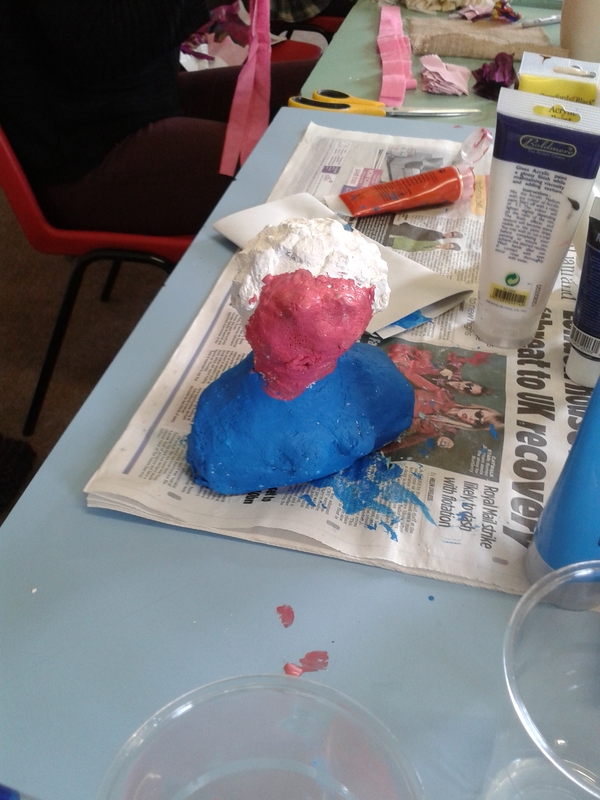 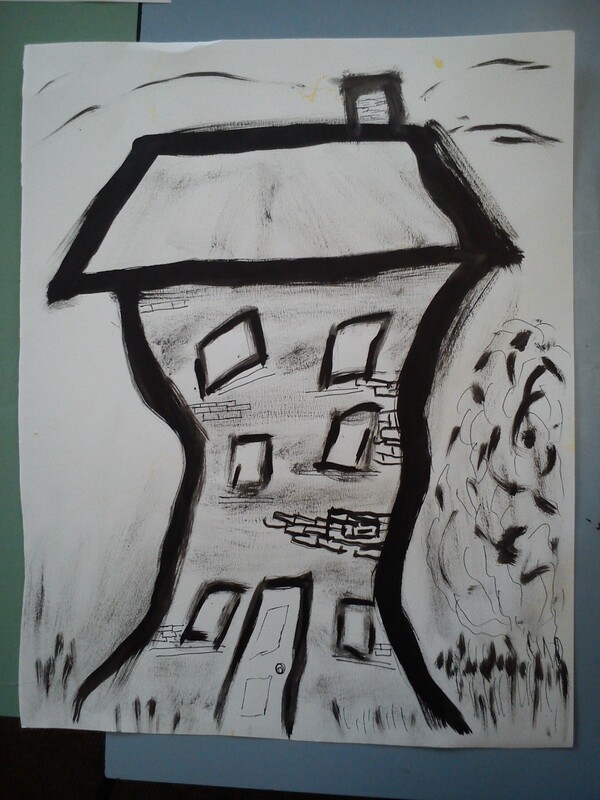 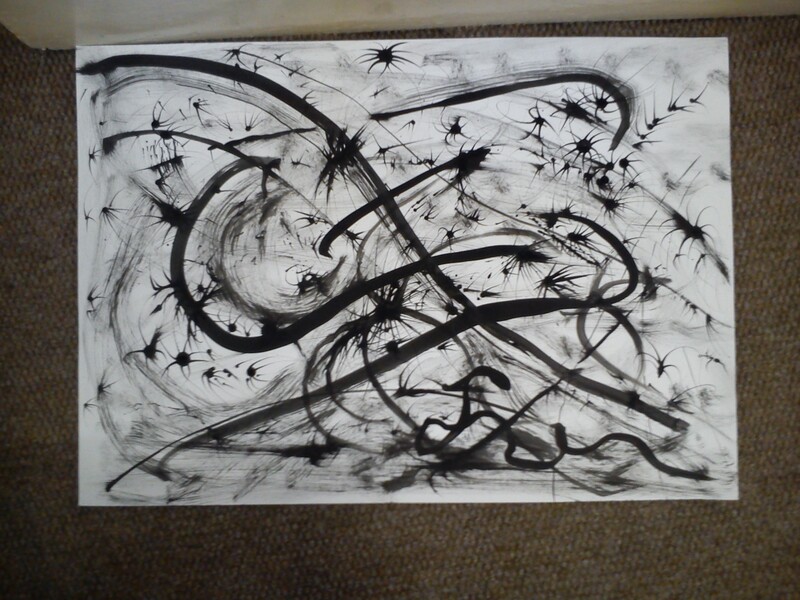 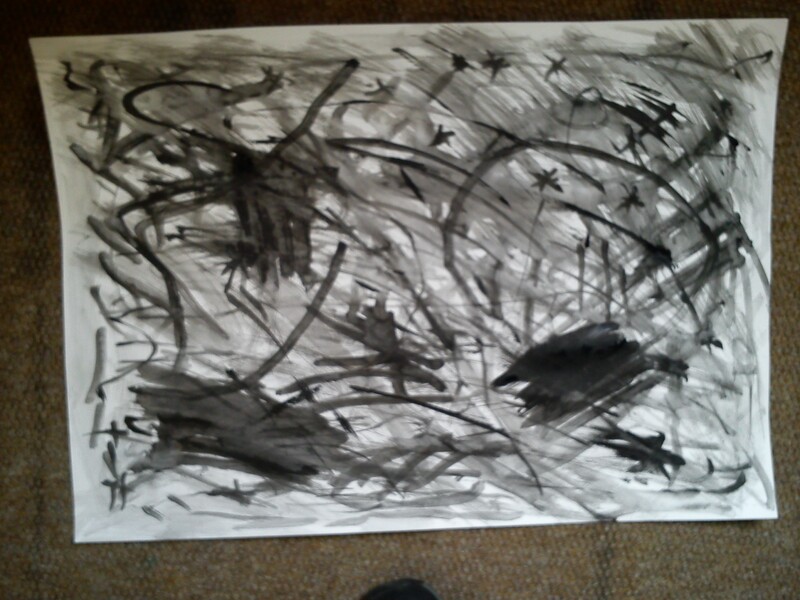 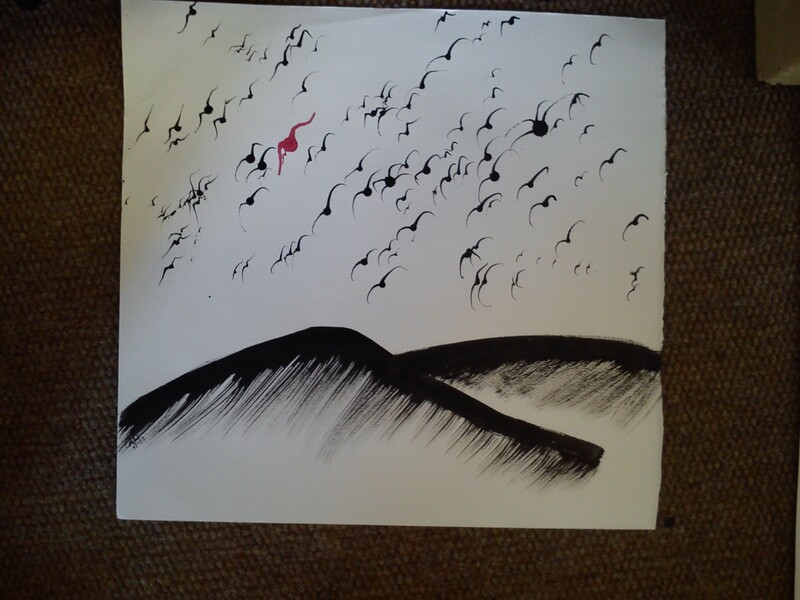 She was keen to encourage the group to free up and feel happy and comfortable with making marks and lines. 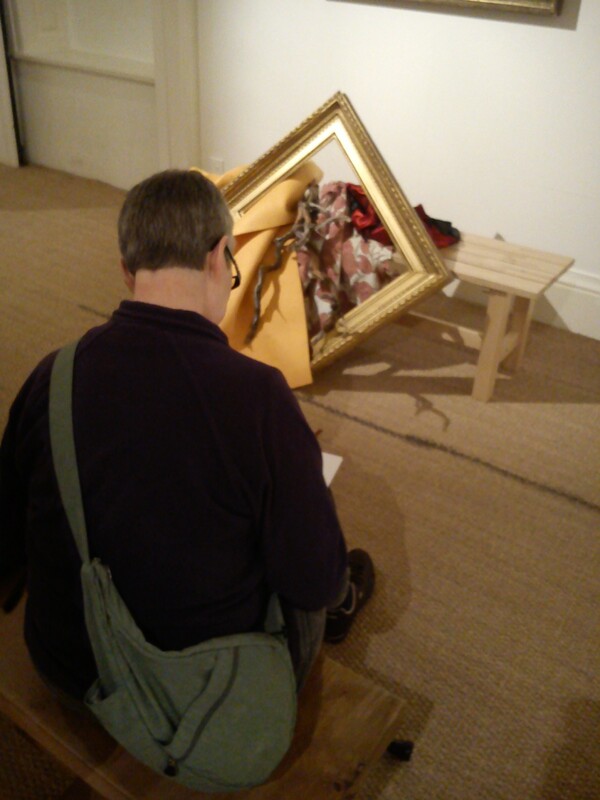 It was liberating to feel no pressure and be free to draw in the gallery overlooked by such great artworks. 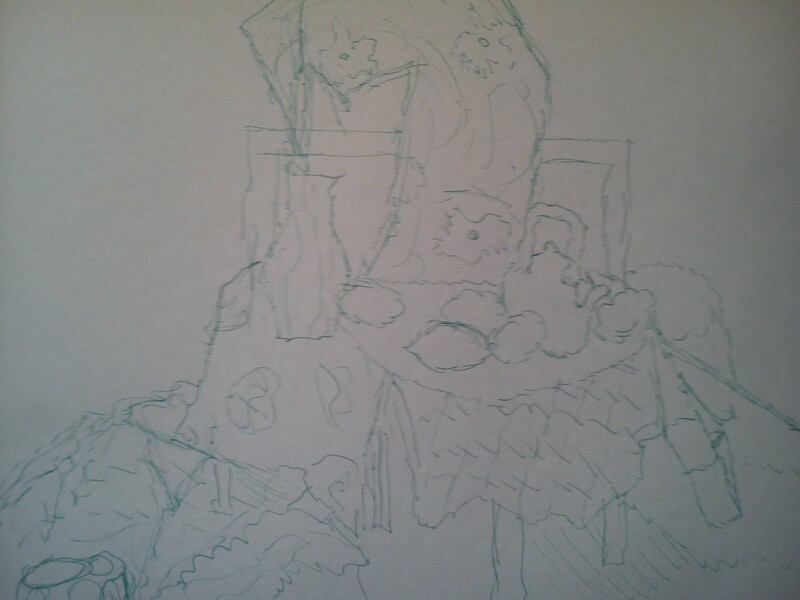 After a while we all gathered in a smaller space and continued to explore the still life making a new arrangement we sketched from all angles and even above. 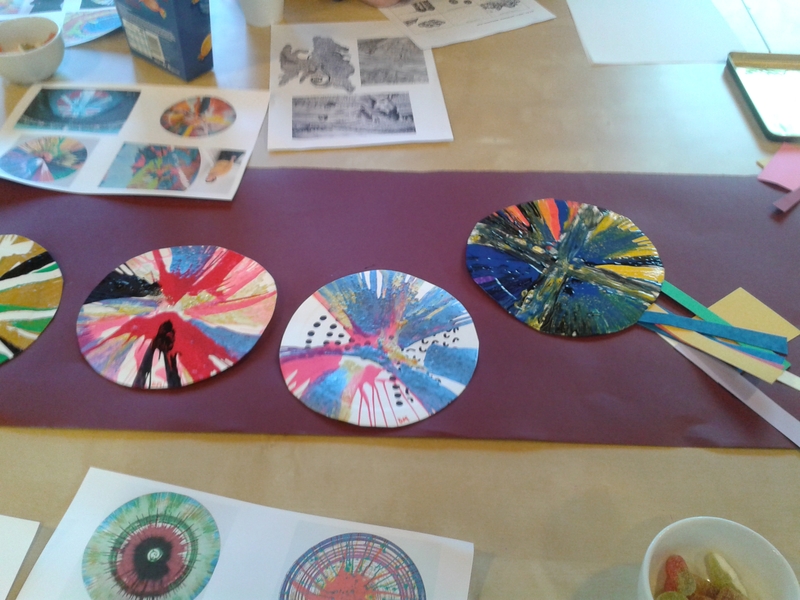 A great sessions and many thanks to Anne-Marie. 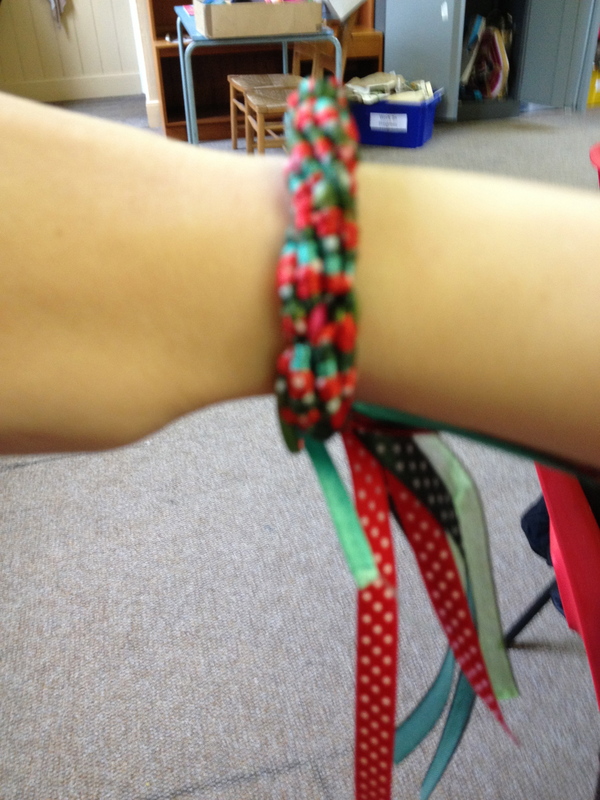 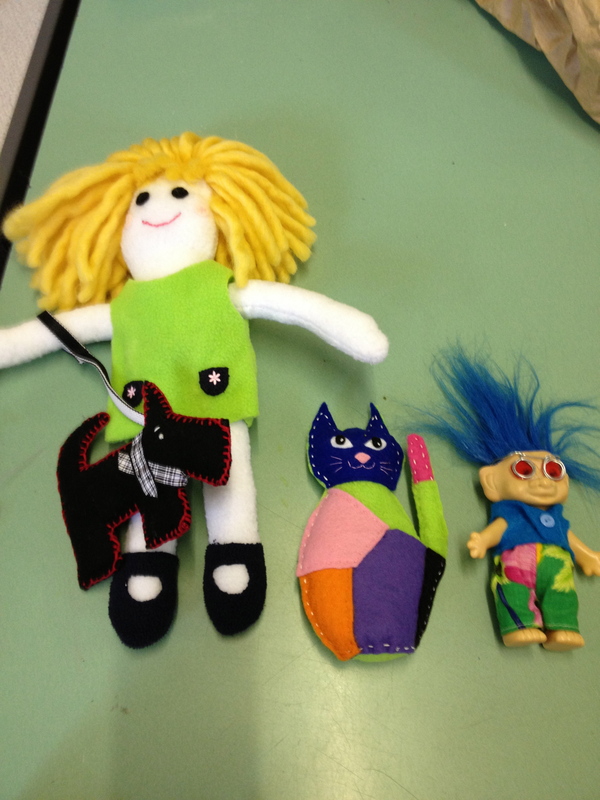 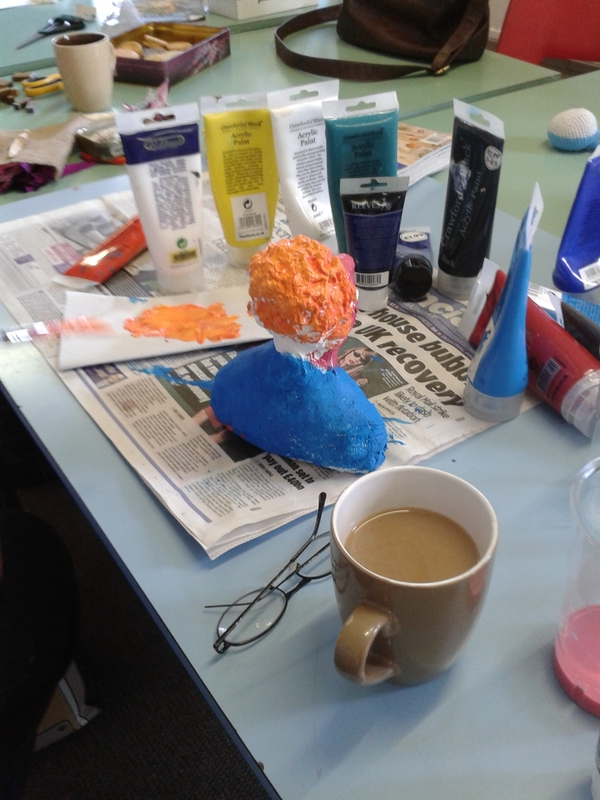 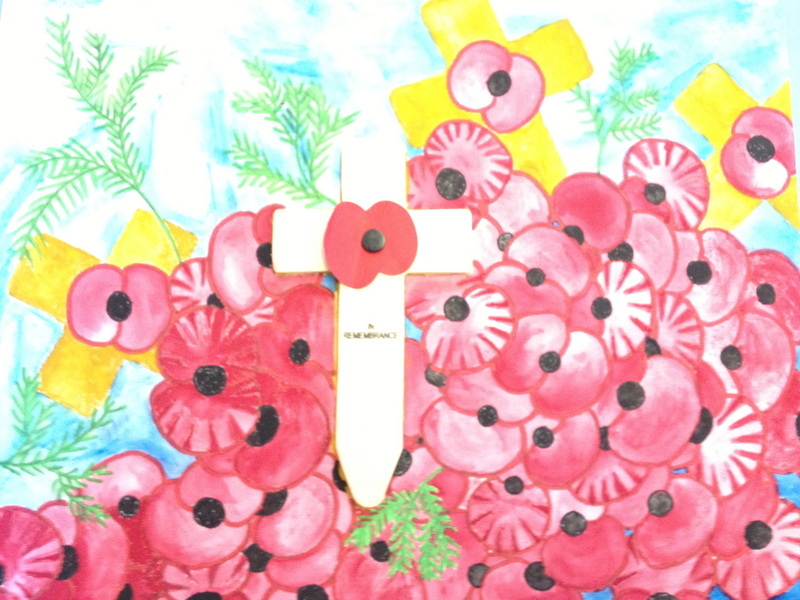 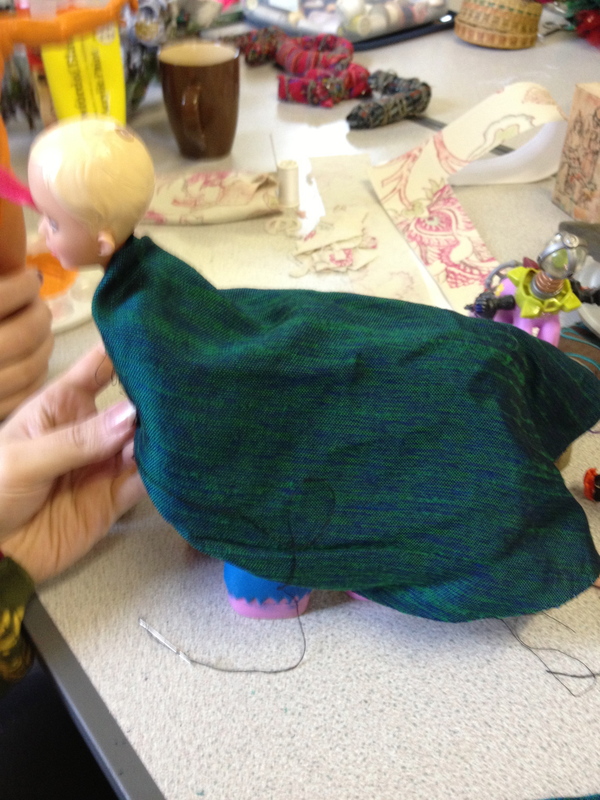 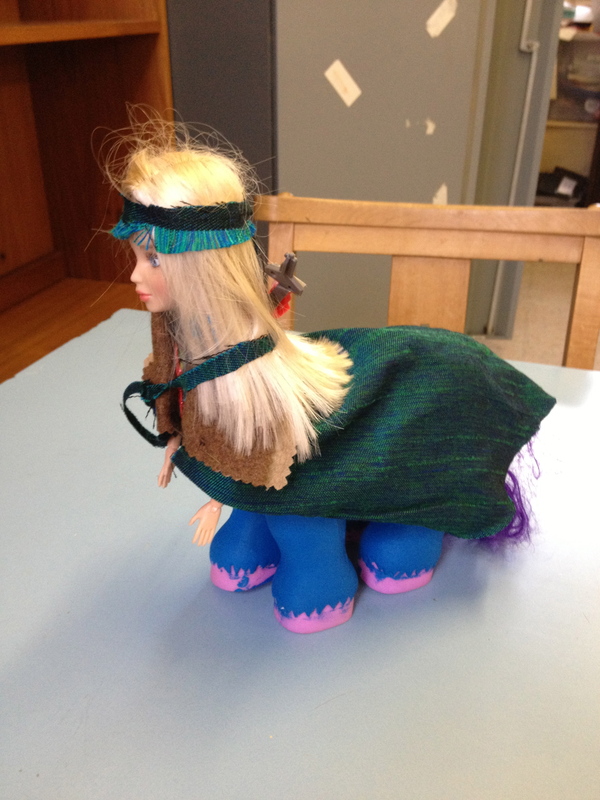 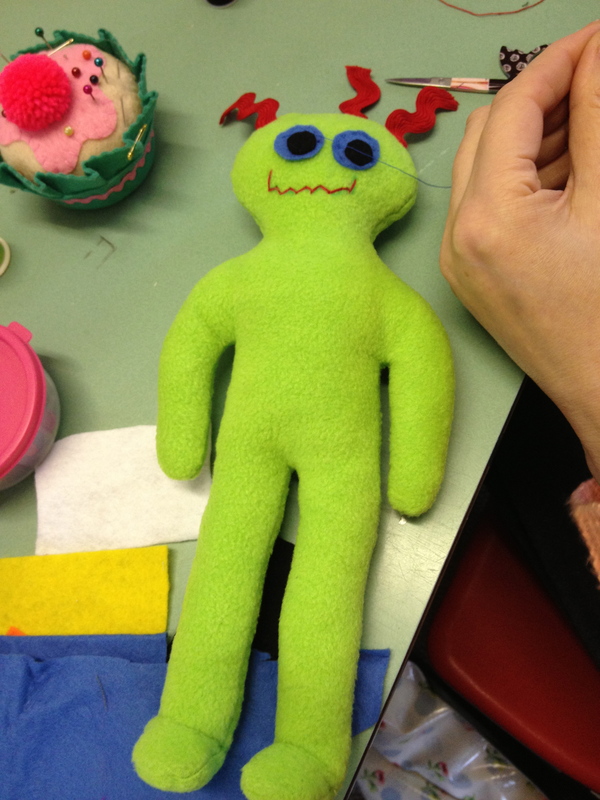 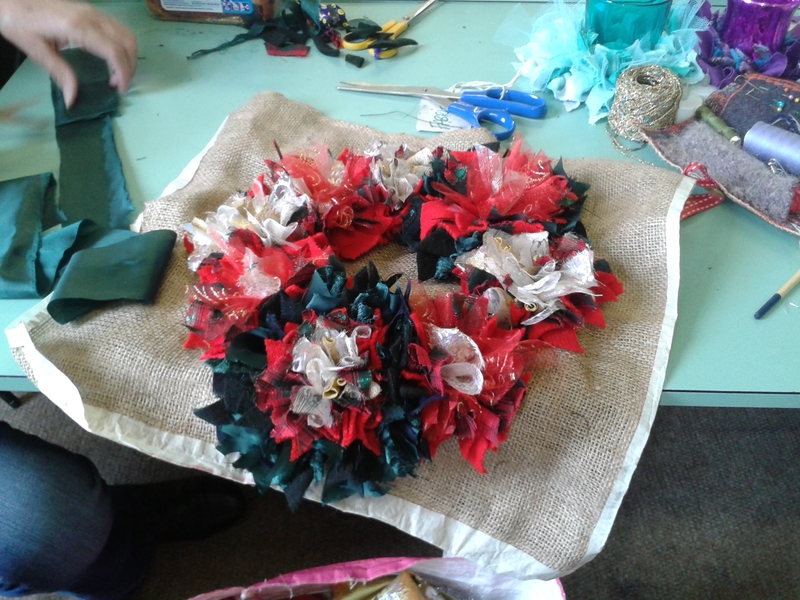 In a chatty and creative session, there were lots of different projects being undertaken, with people completing figures or working on textiles and bracelets, as well as painting. 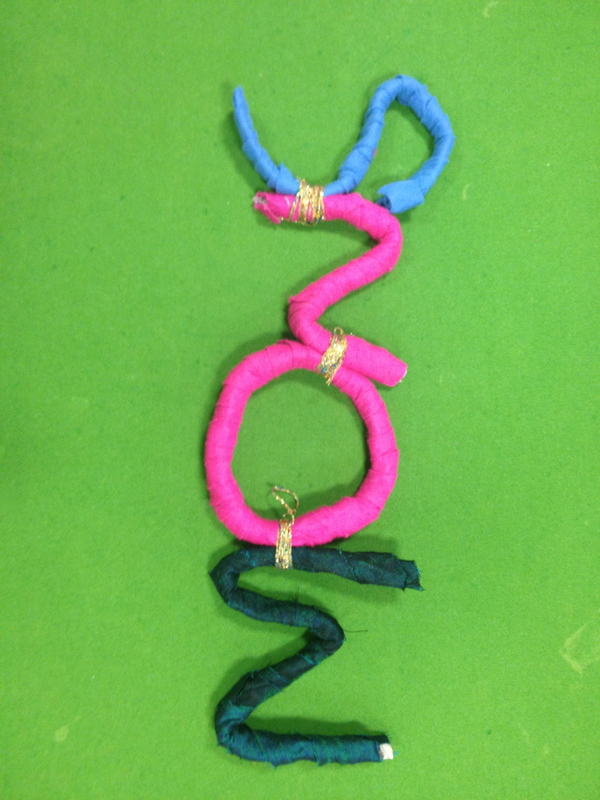 Julie and Jo helped patients on the ward to create 3-D letters and words. 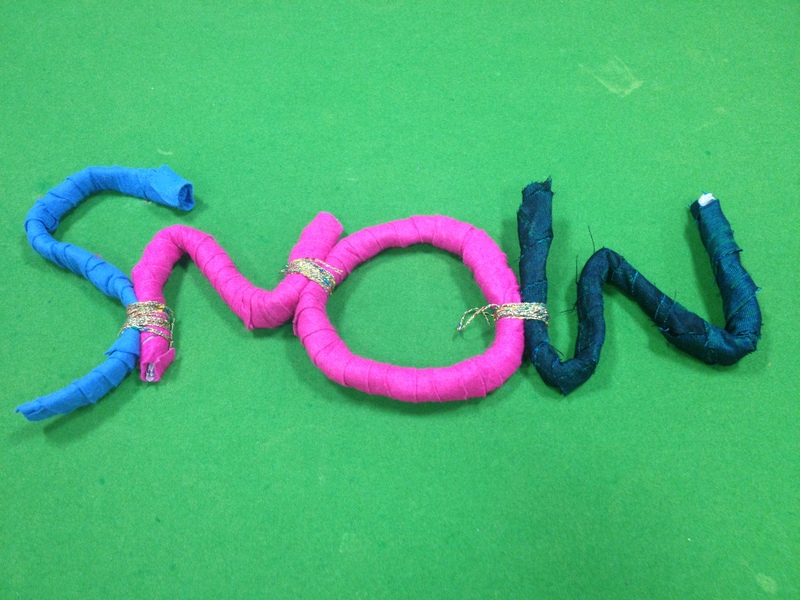 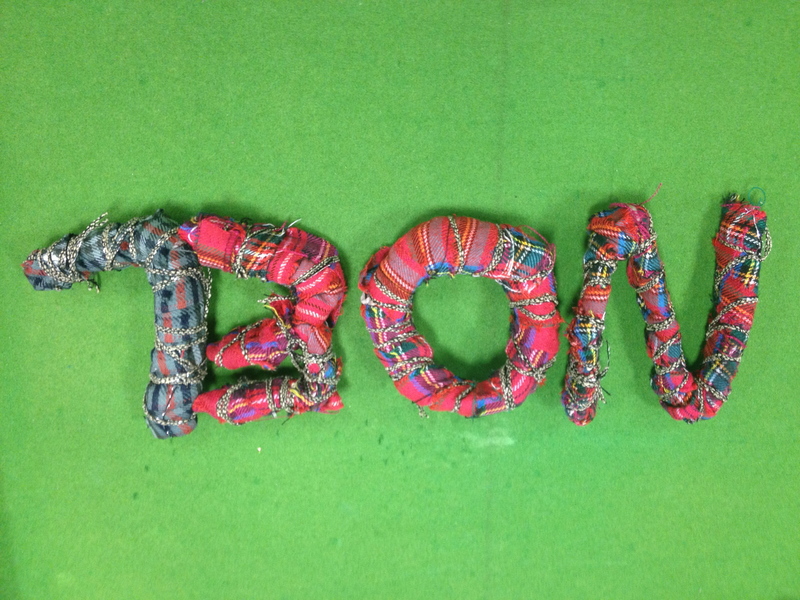 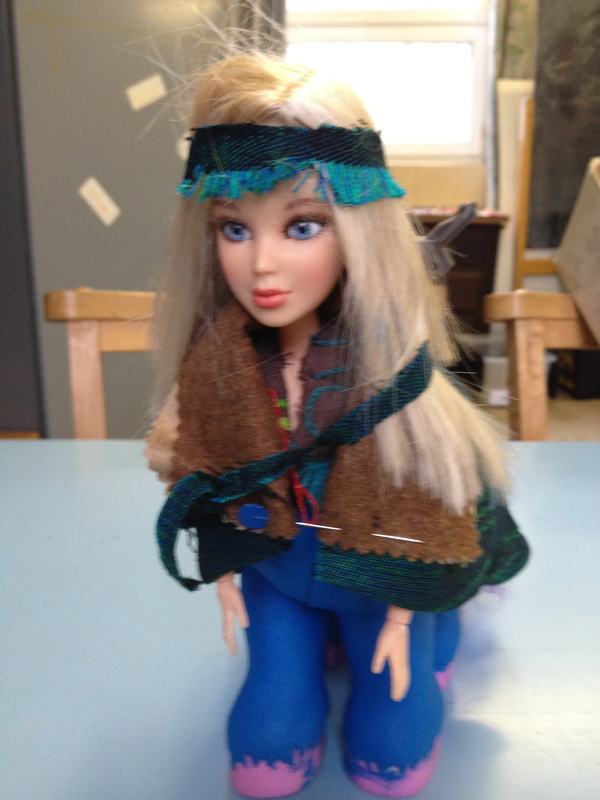 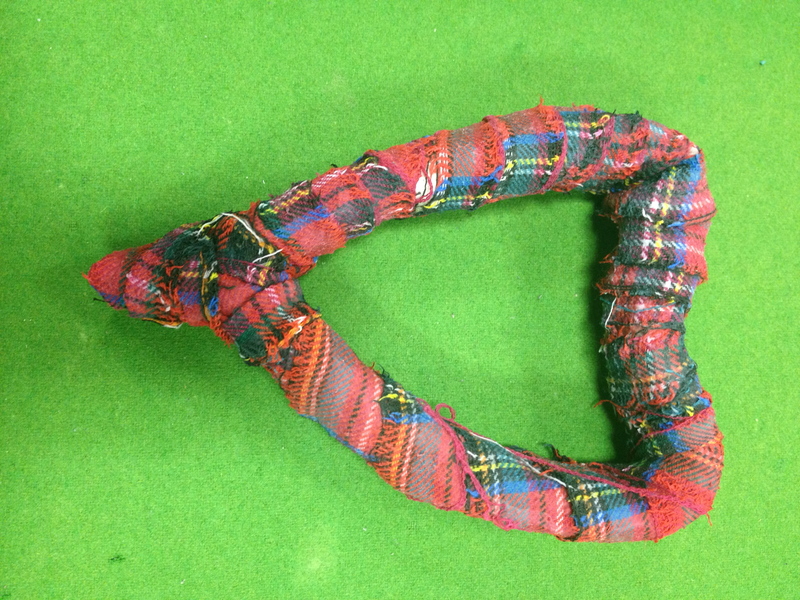 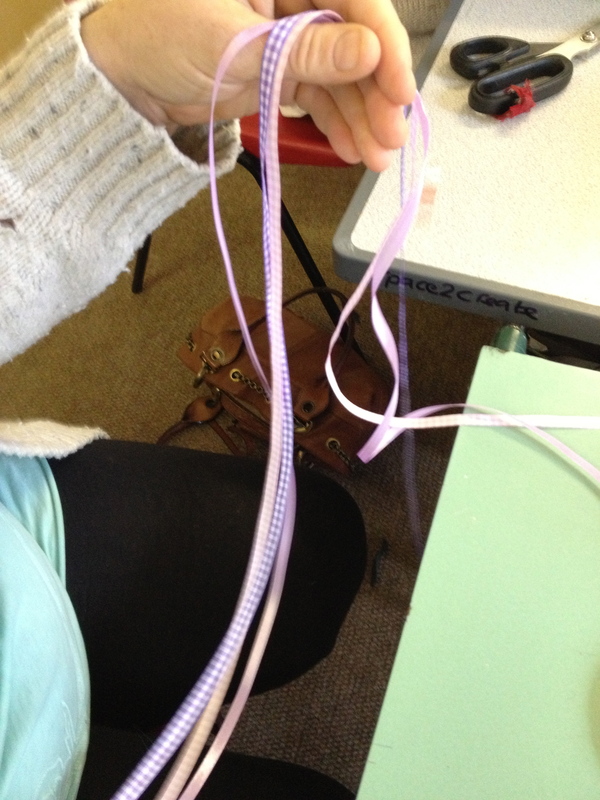 Fabric was wrapped around wire to shape the lewtters and then fabric paint was painted over to create effective words. 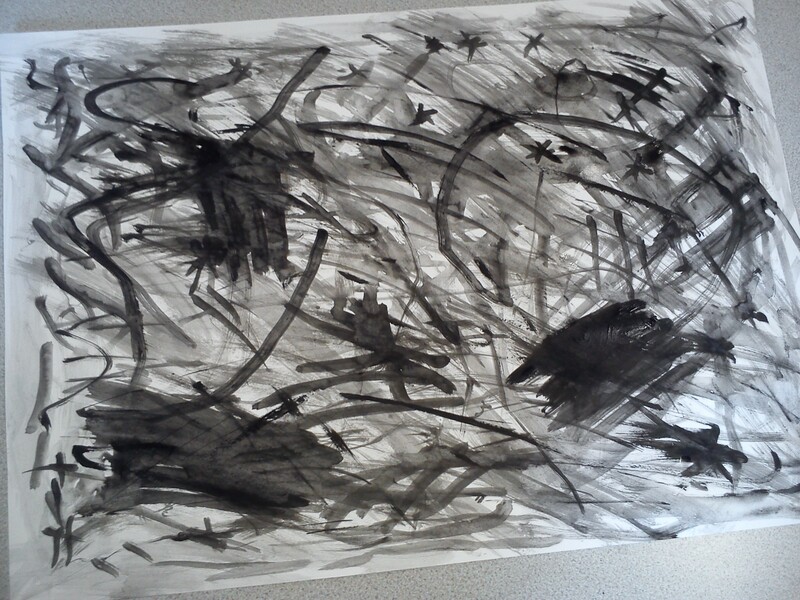 In 2Create today we continued our exploration of line. 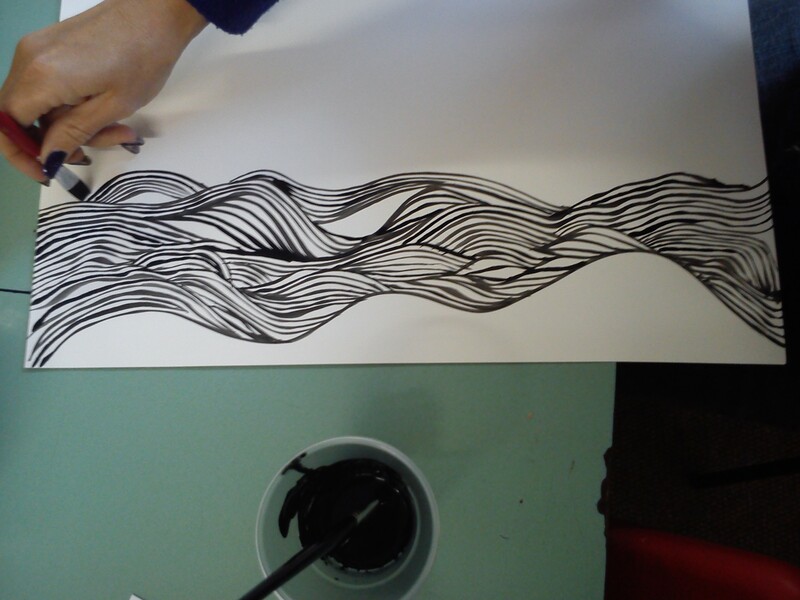 We experimented with types of line and ways of creating lines before we each made images from the lines, focusing on using line properties to be more free and expressive. 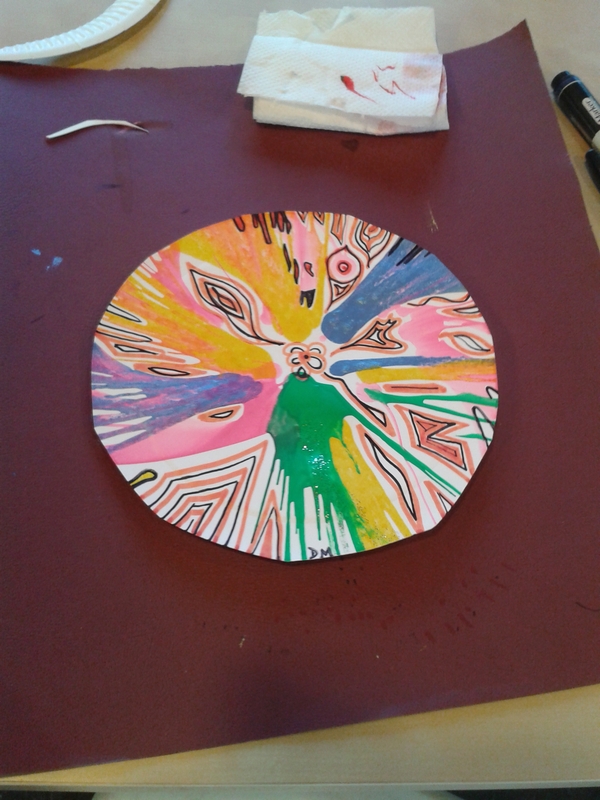 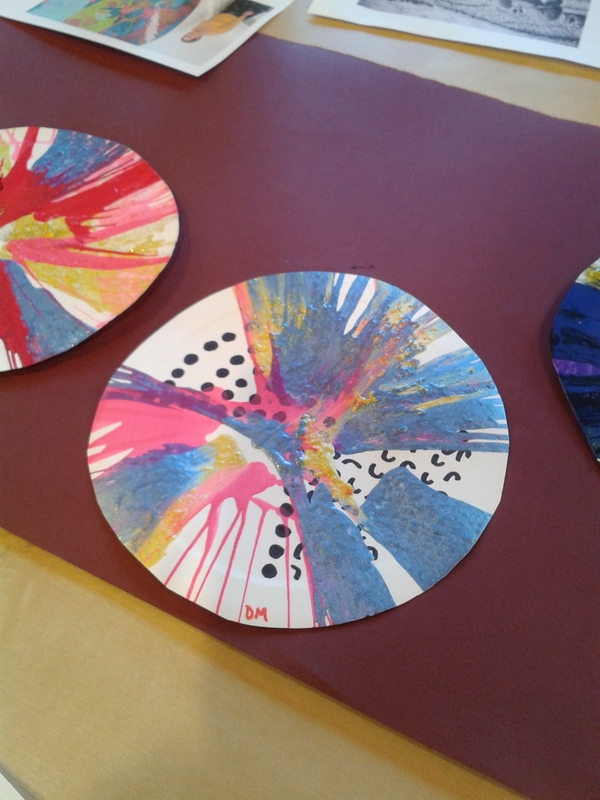 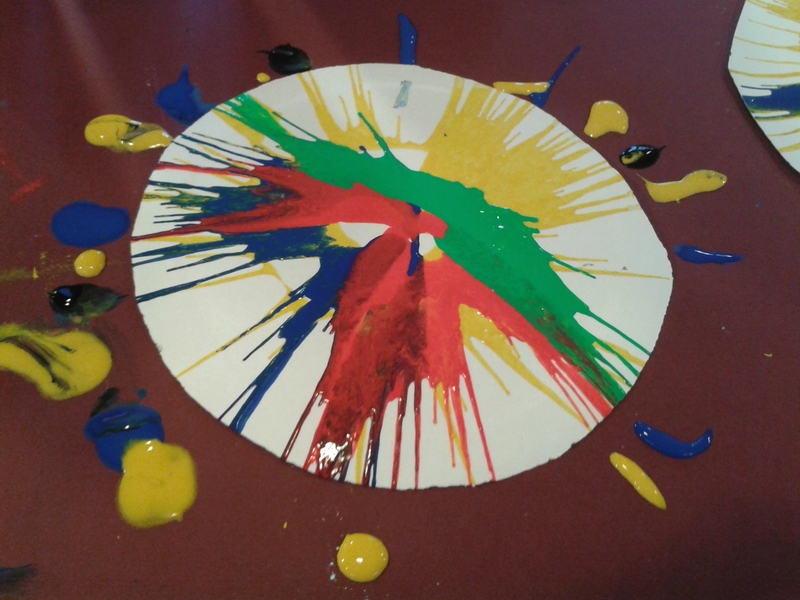 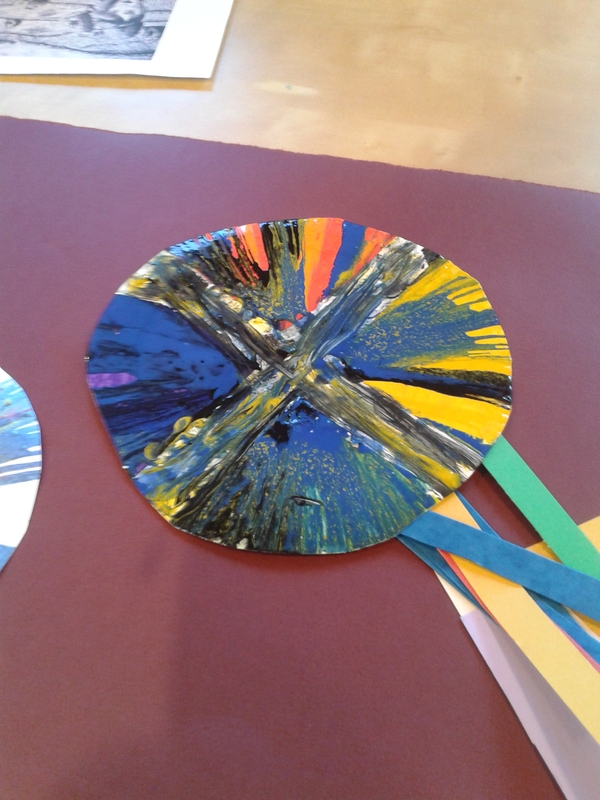 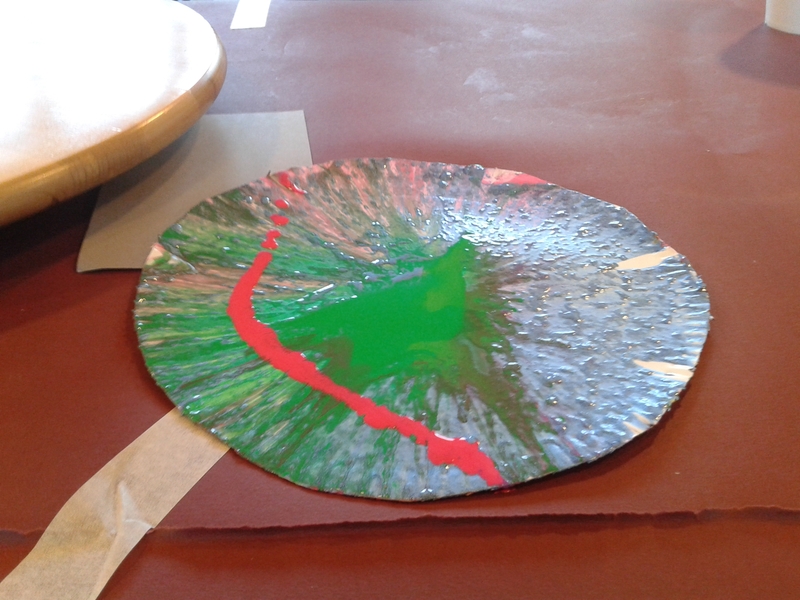 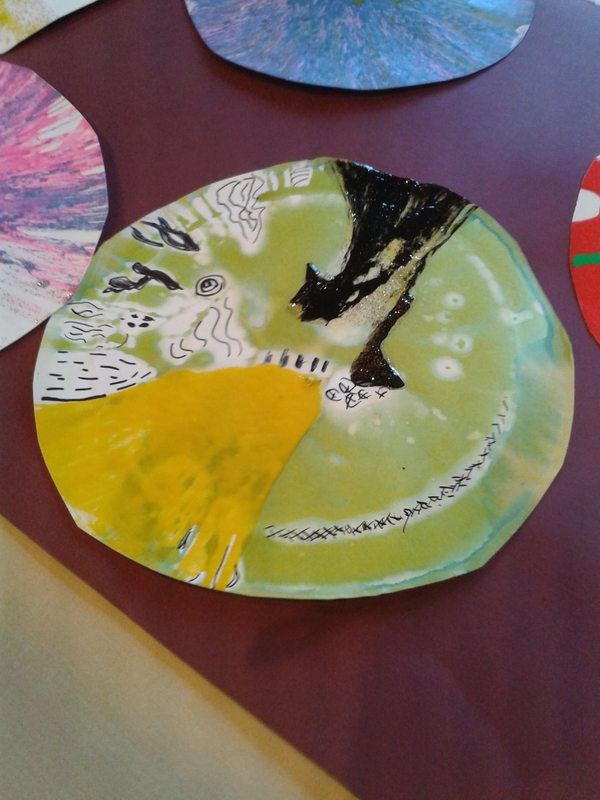 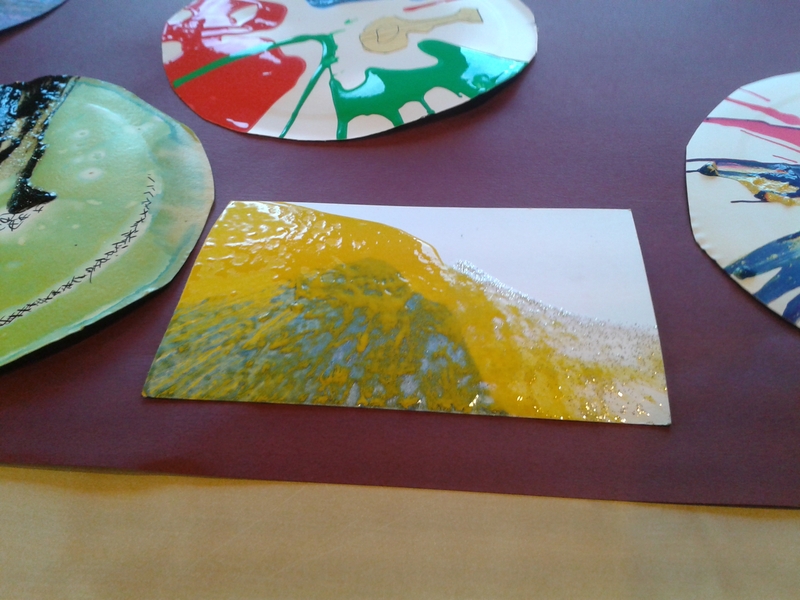 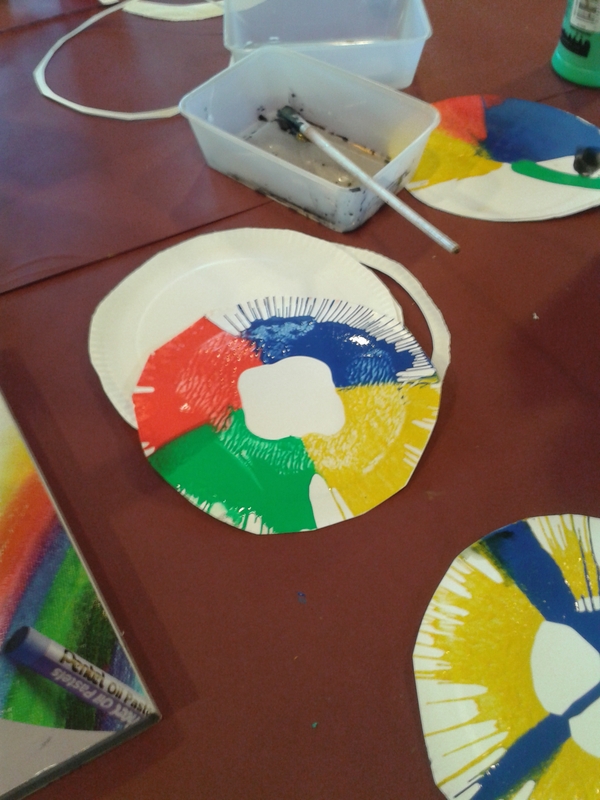 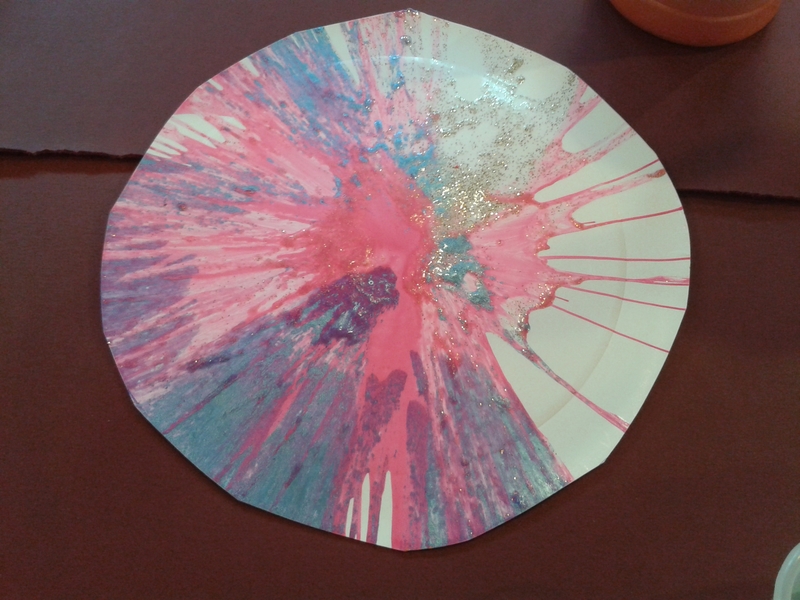 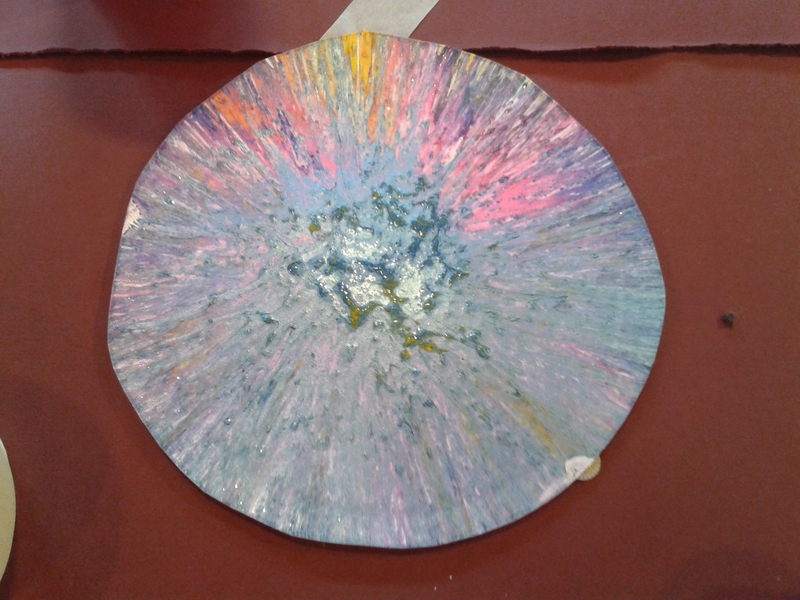 WellArt was largely inspired by Damien Hirst this week, with the group spinning paint on paper plates in various rotating devices (most effective being a salad spinner!) 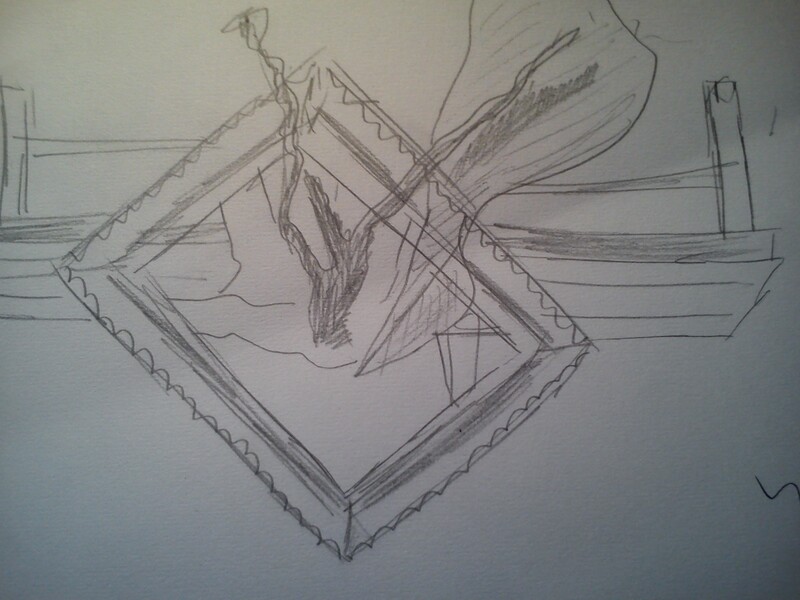 to achieve some remarkable effects. 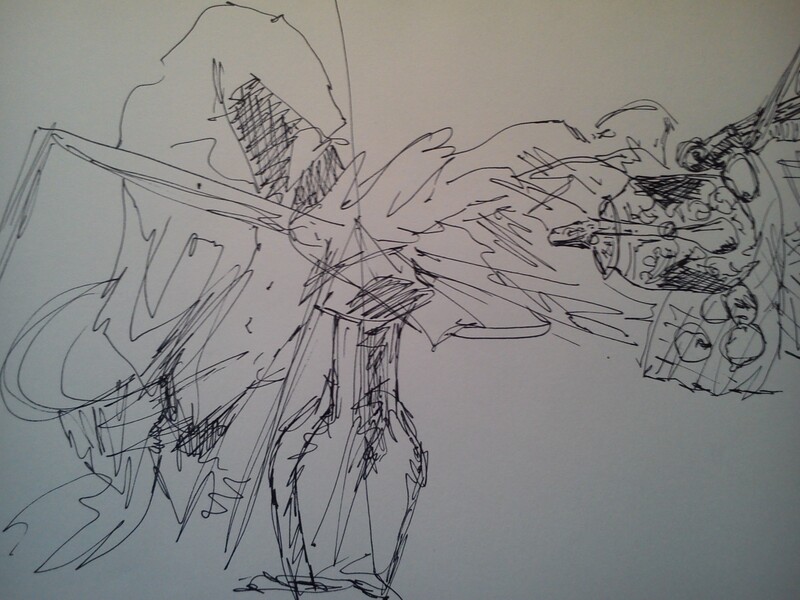 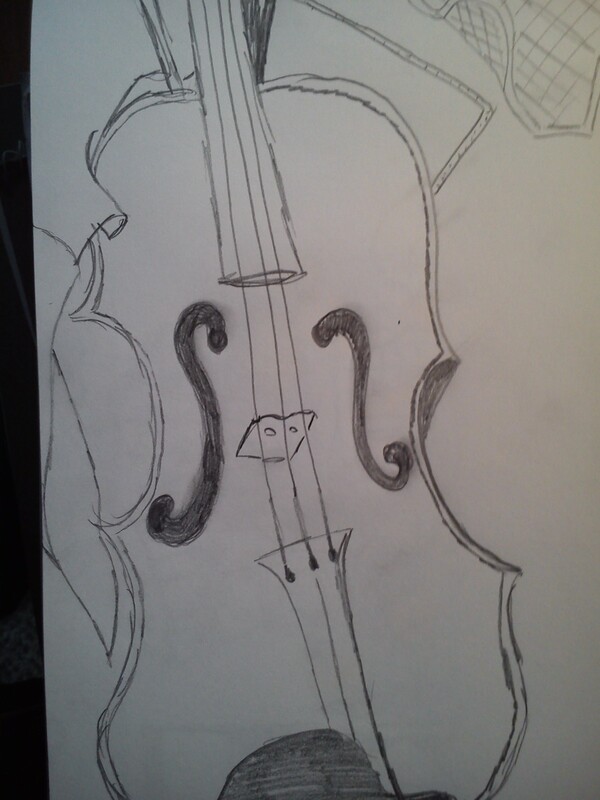 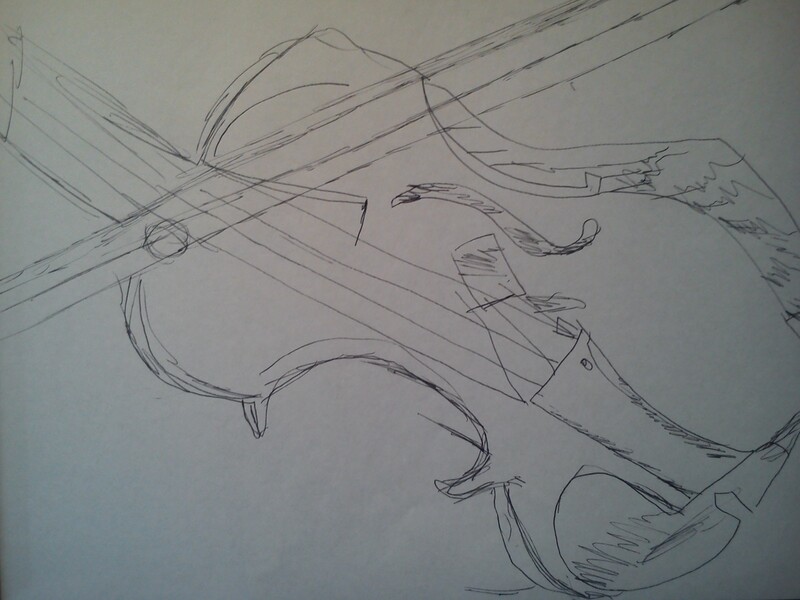 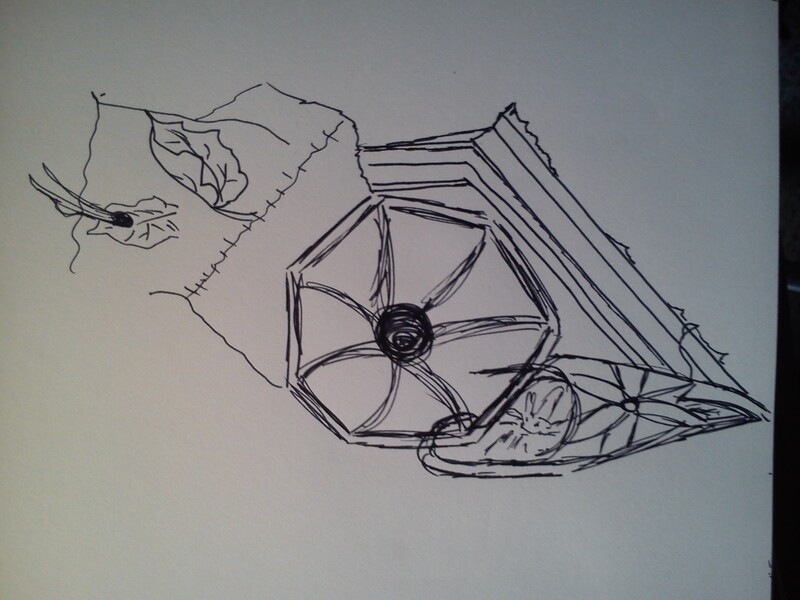 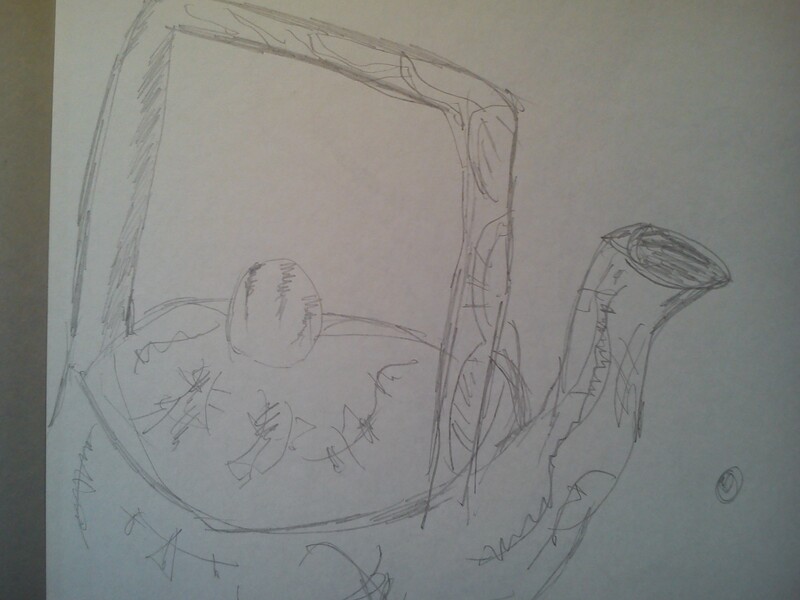 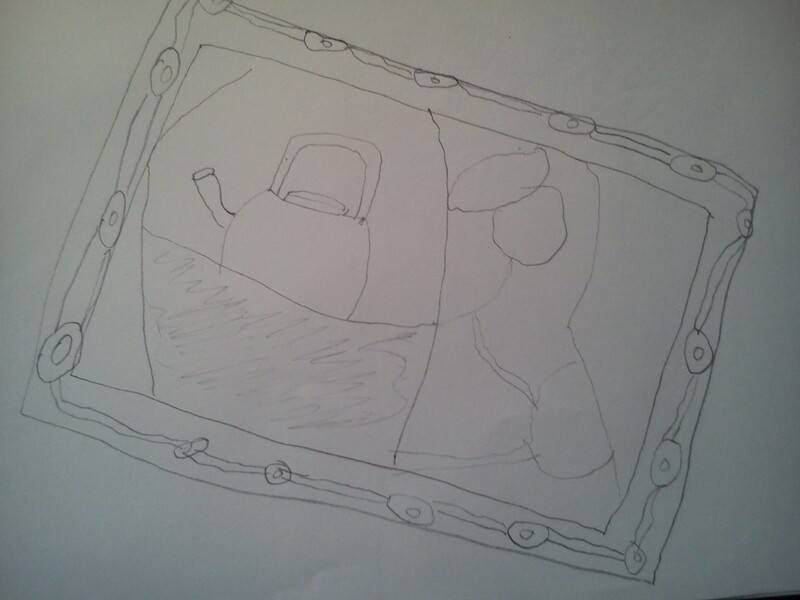 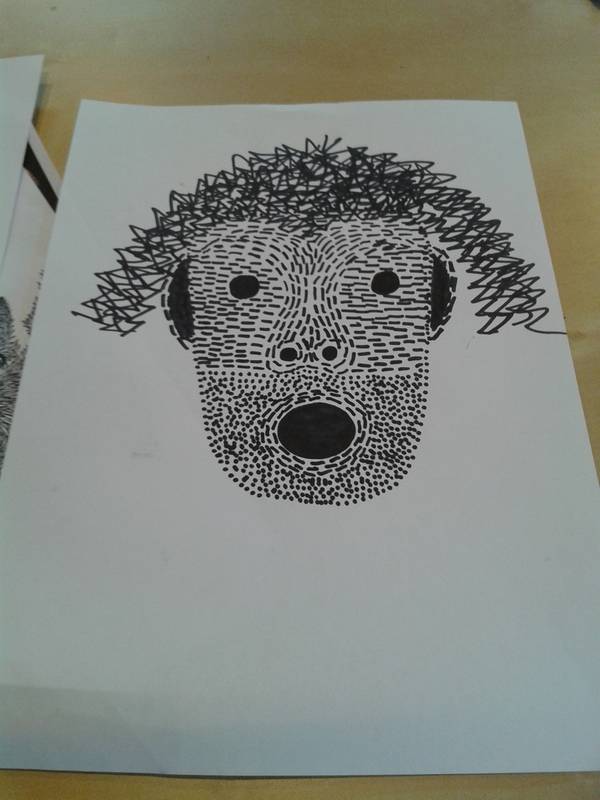 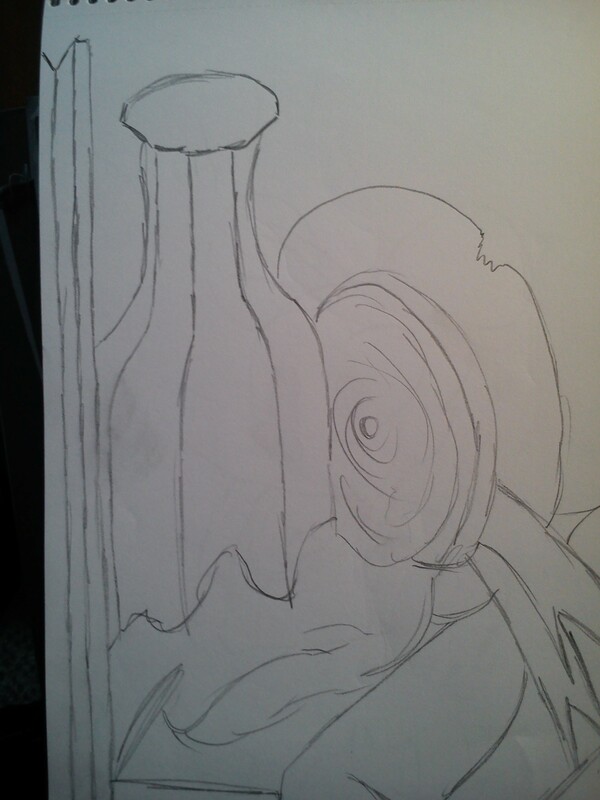 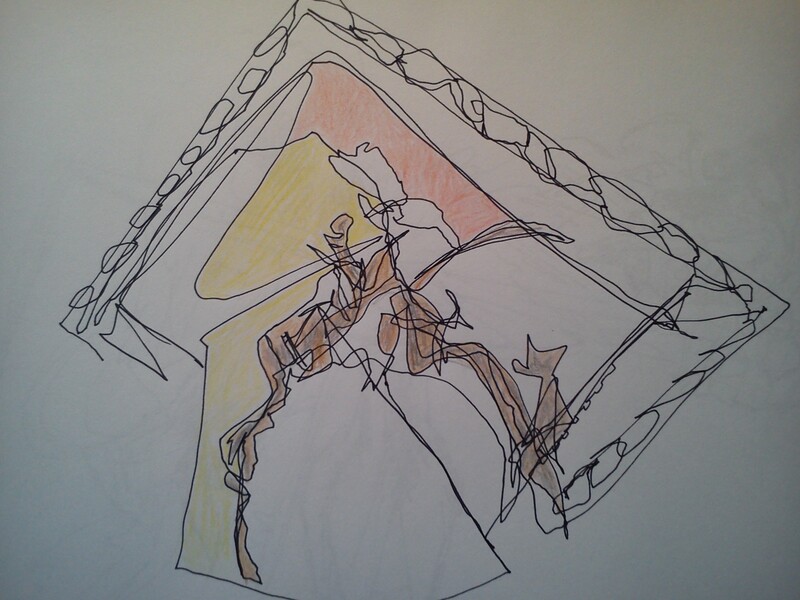 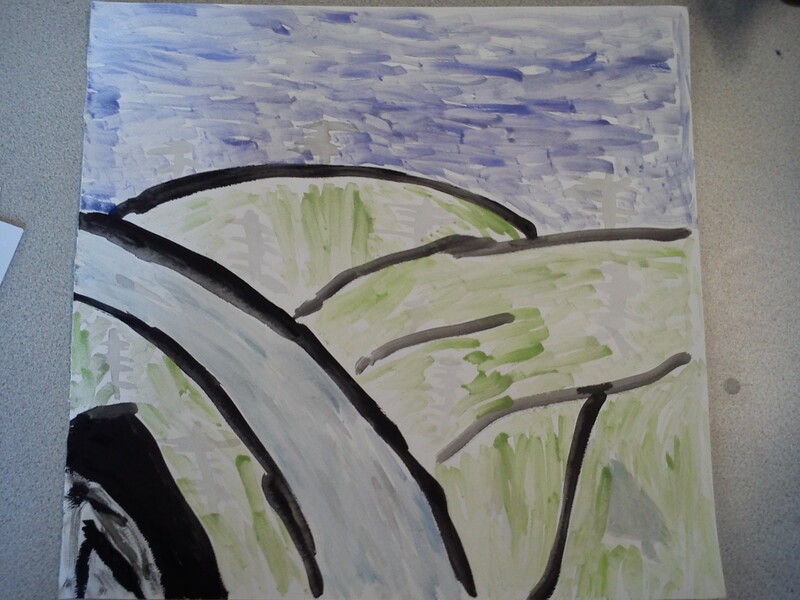 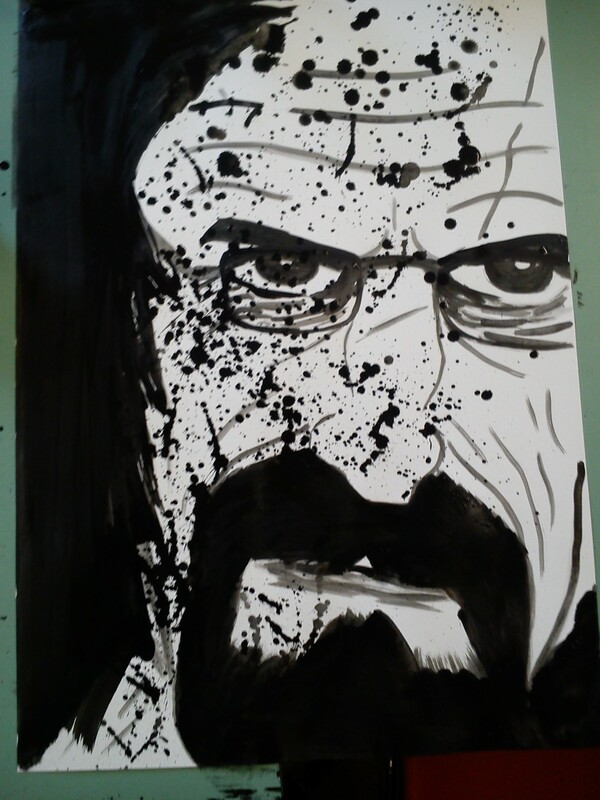 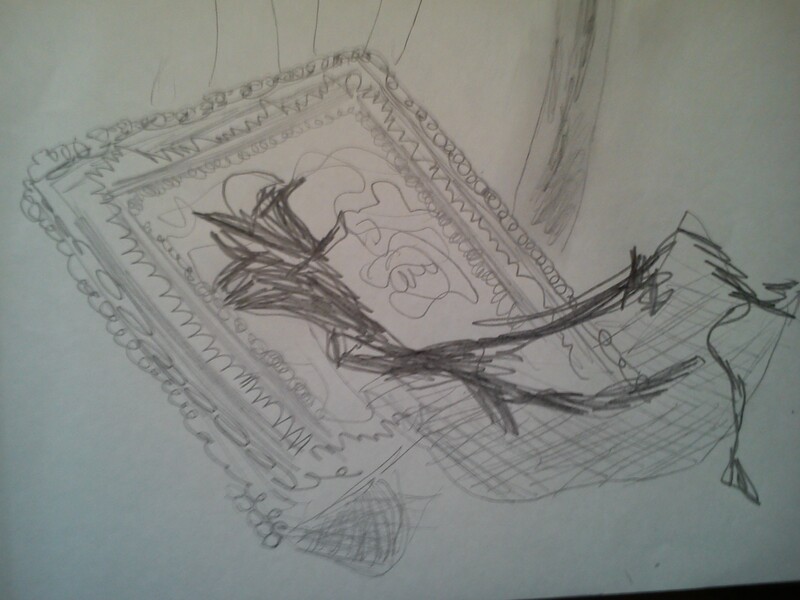 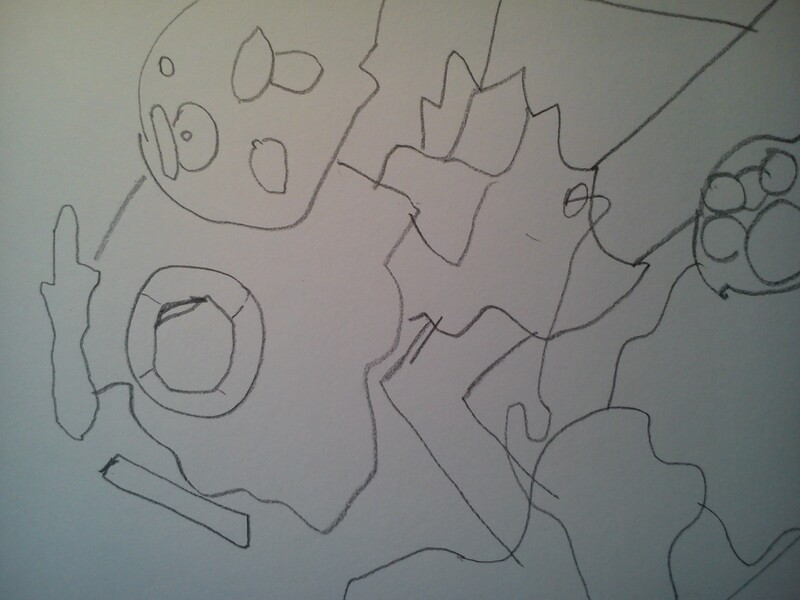 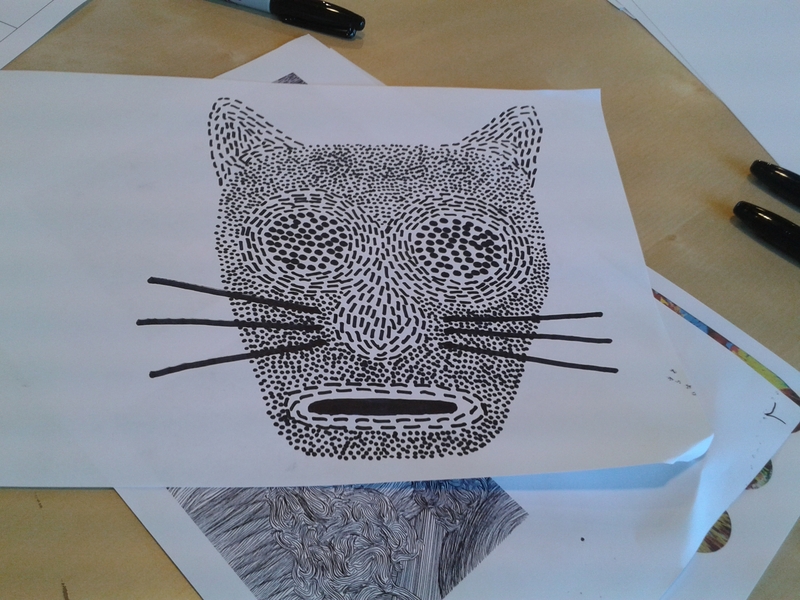 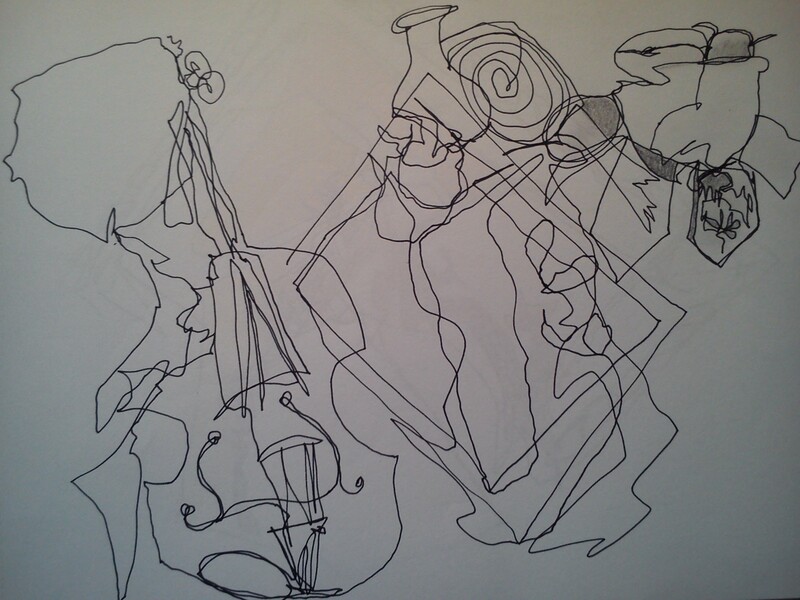 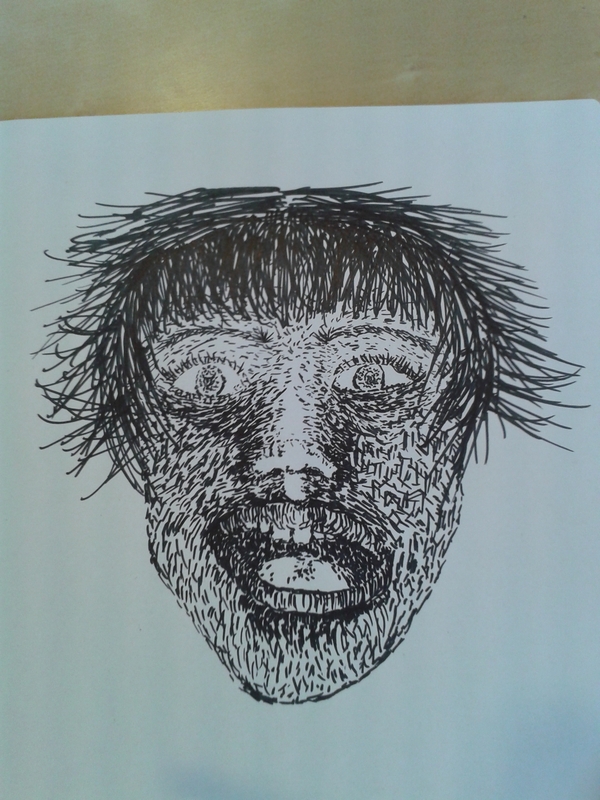 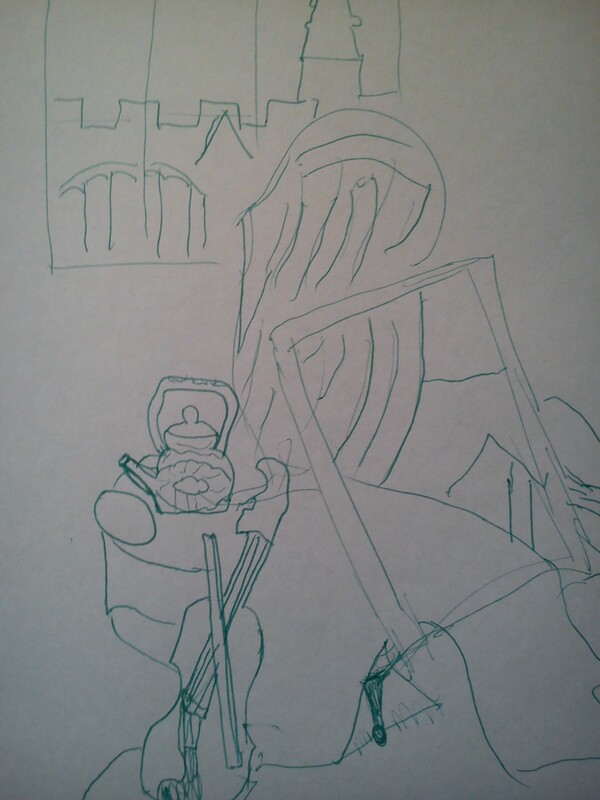 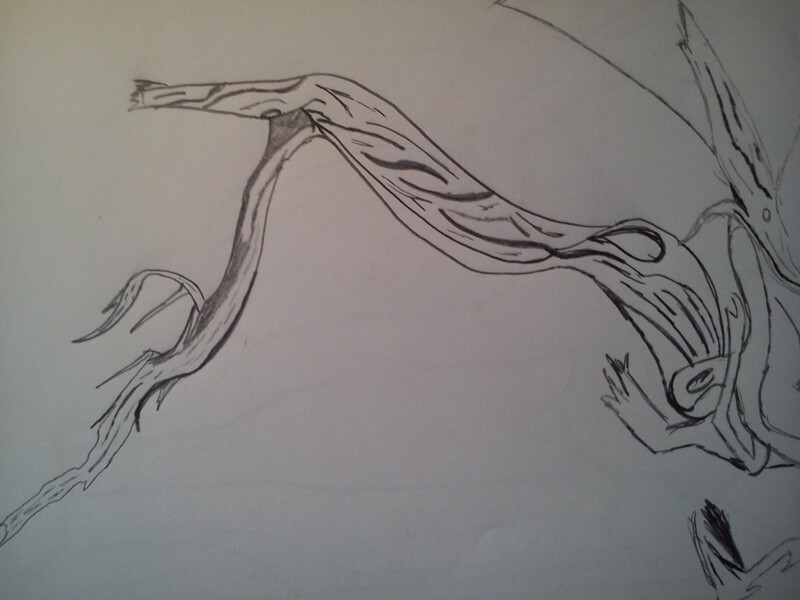 Others also practised drawing without using outlines, again with striking results. 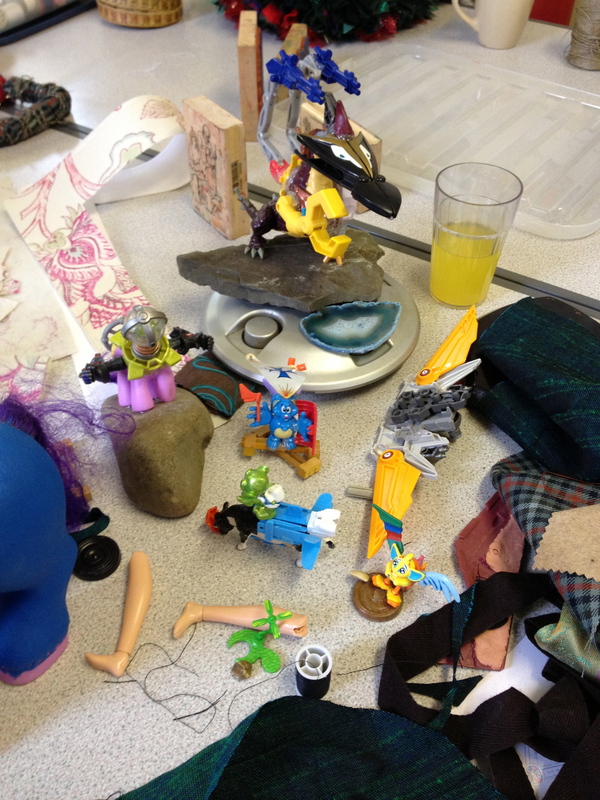 A very creative session! 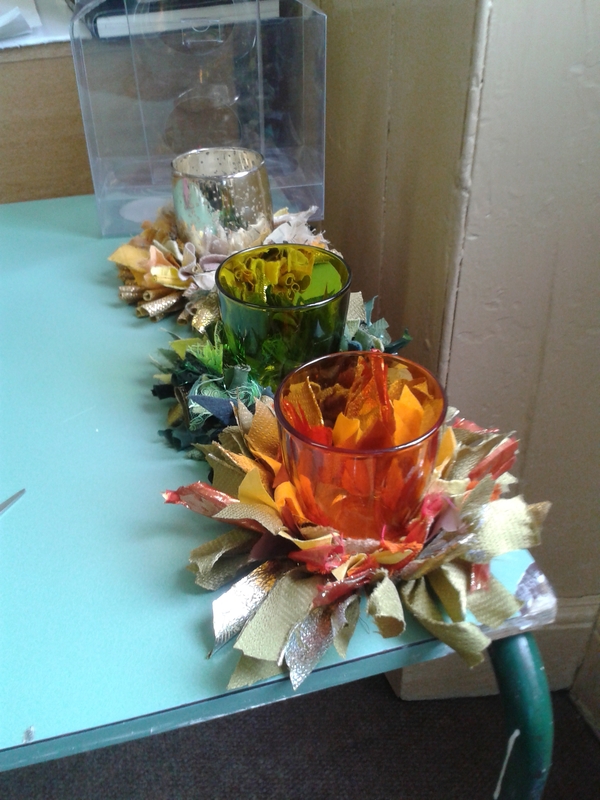 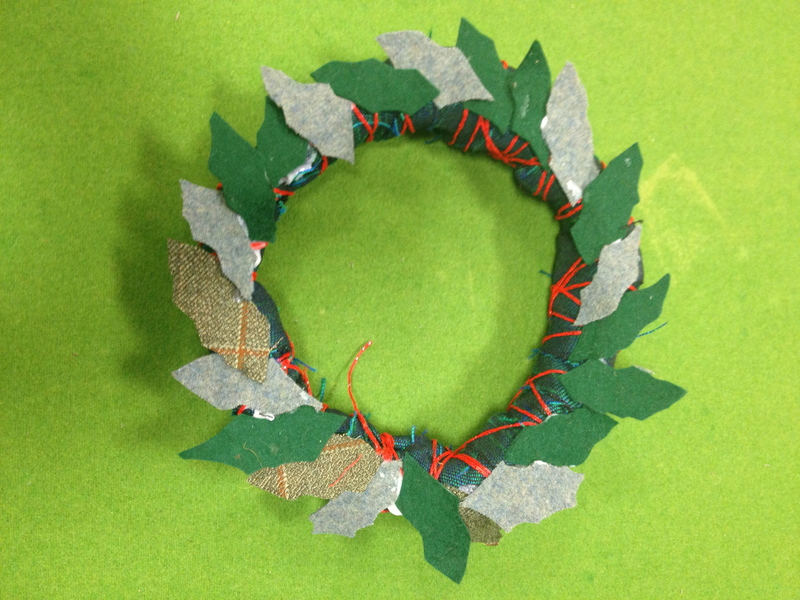 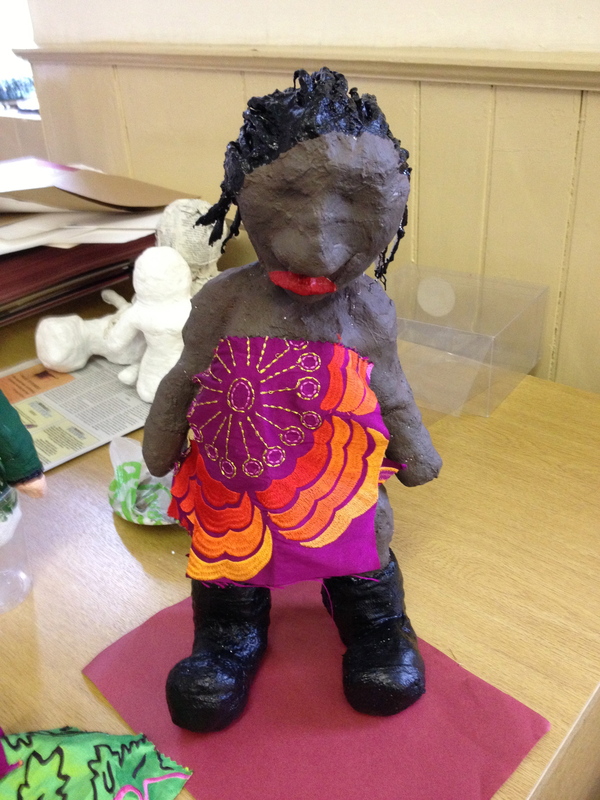 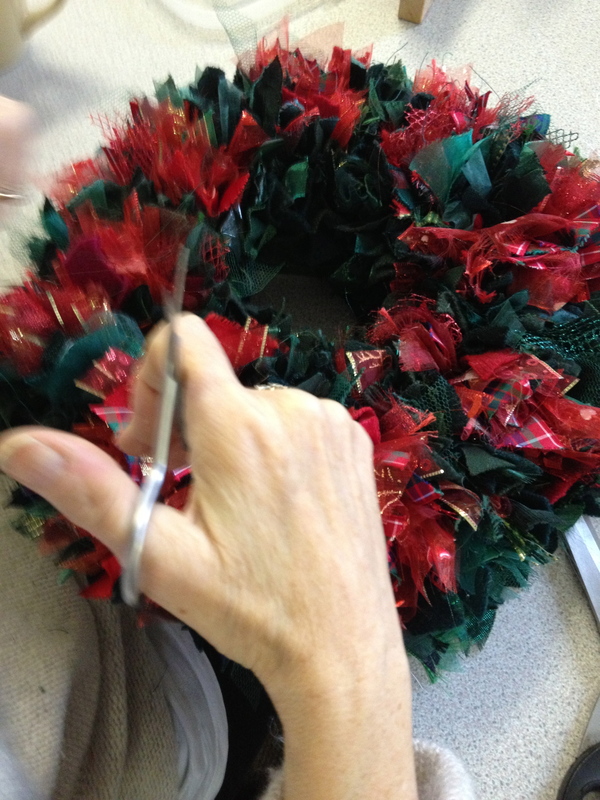 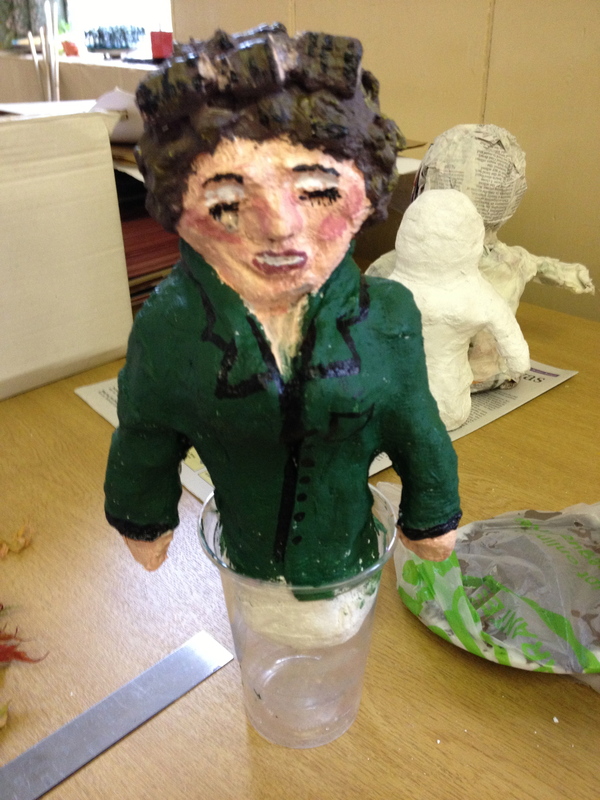 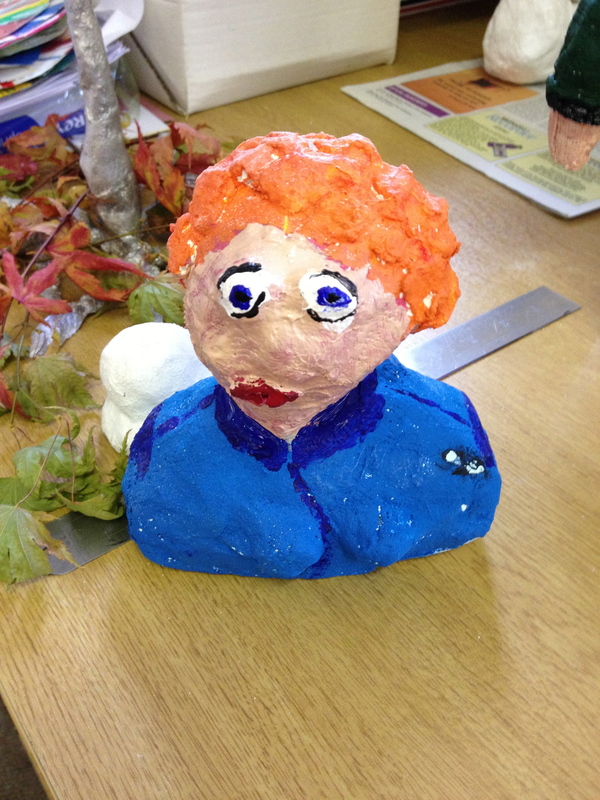 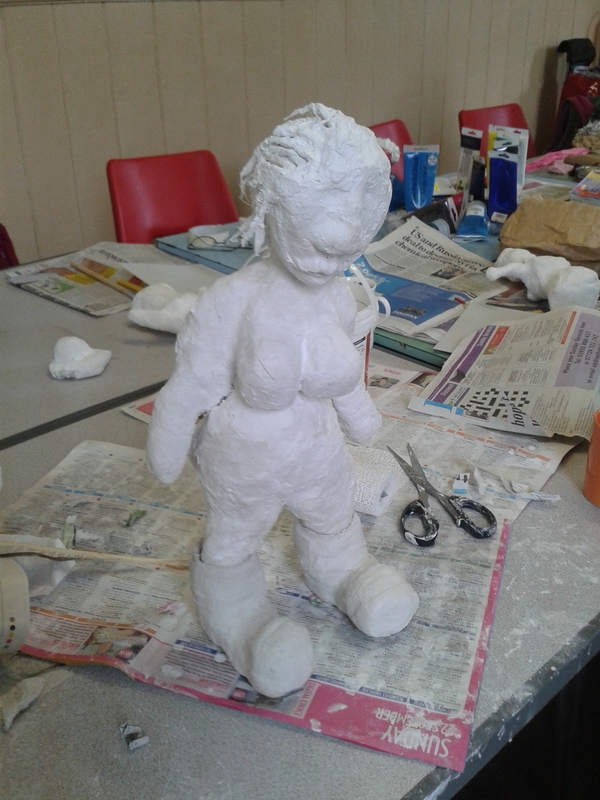 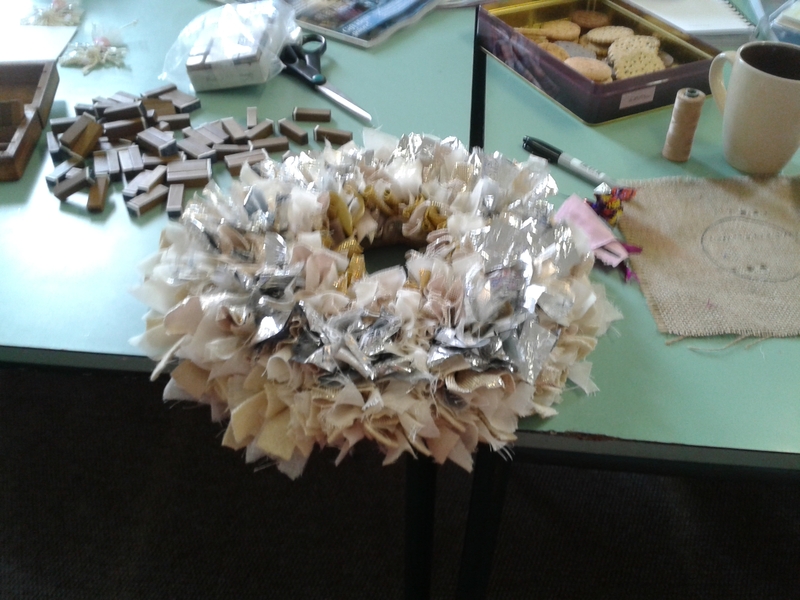 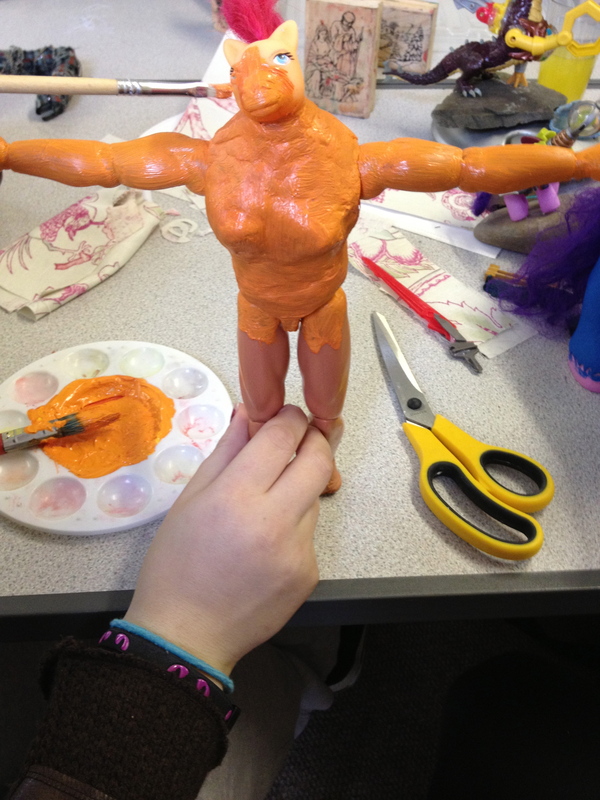 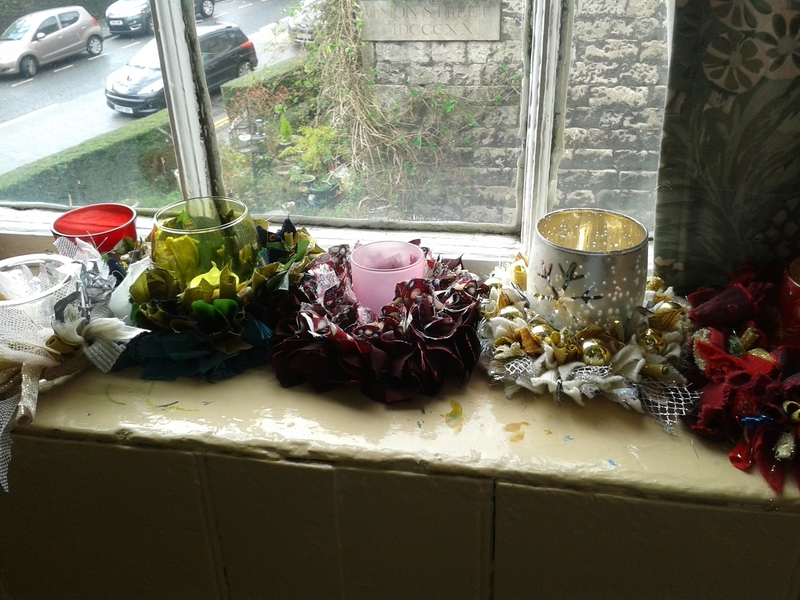 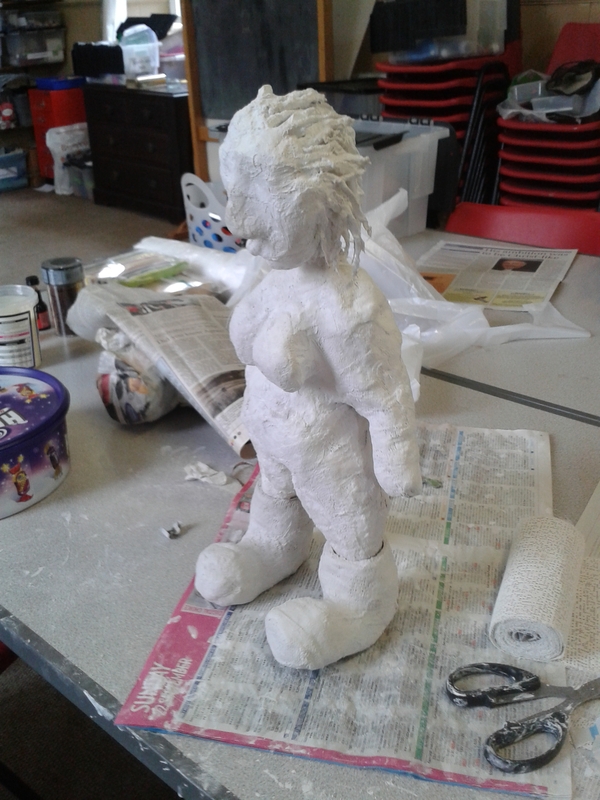 The Thursday Group continued various projects during the session, from modroc figures to Christmas wreaths. 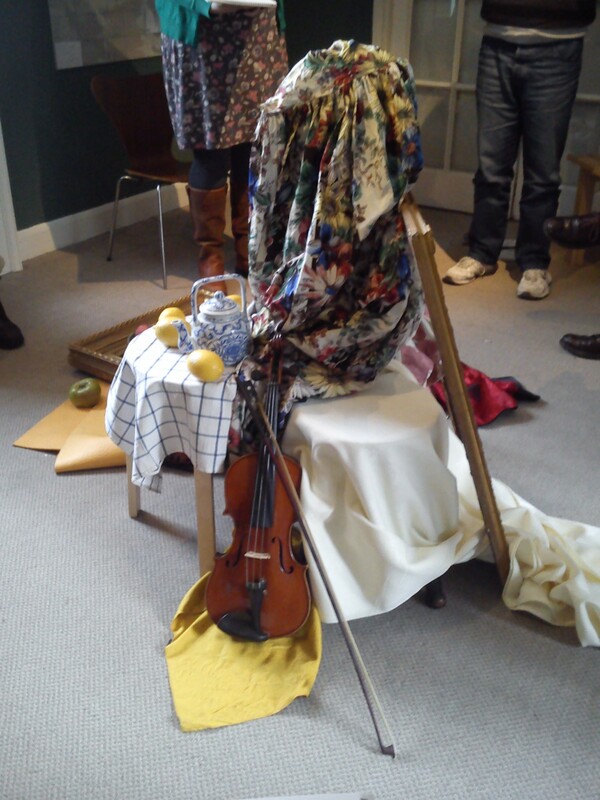 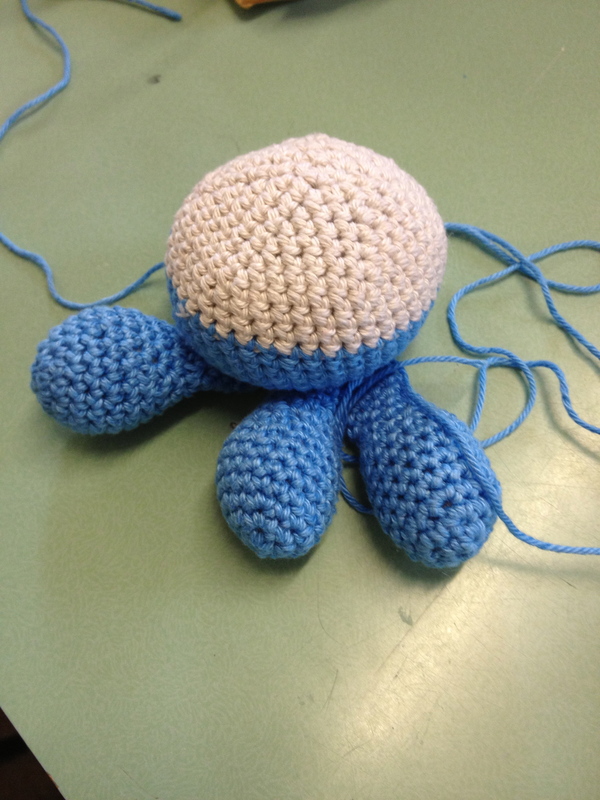 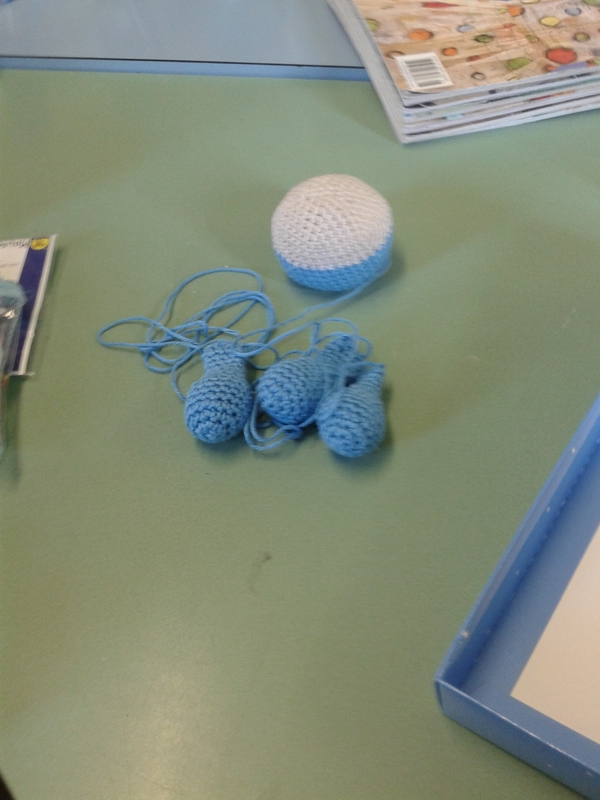 Also making guest appearances were a crocheted octopus and an artistic brainstorm of the concept of ‘junction’!